Haha, maybe I am crazy? But sincerely, I take frequent breaks going outdoors for workouts or just walking to clear my head and also for inspiration. Having a vision for what I want to convey helps, reminding myself of it by reading it again, I think more of this as an opportunity for artistic expression than just a game. Then of course reading the replies from all you awesome people, you make me feel like I am contributing something worthwhile. If I can teach something, make someone think in new ways or just make someone happy, that is enough! And enjoying the game while creating new things is essential too. Really nice - love the sequoias. Thank you TheWesson, how are you doing lately? I am working hard on it, daily updates until Wednesday if I manage to keep my schedule! Also the song Turn Down For What? is great! 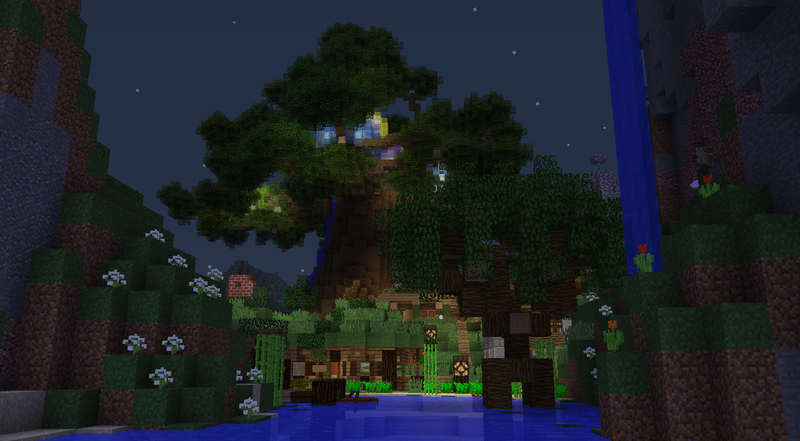 Let's have another break from the Adventurer's Hub to add some more color and playfulness to the Life Tree! I am inspired by flowers and Buddhist mandalas to create symmetric circuits playing music. I also think part of me want to compensate for the fact that the crystal on top of the Wizard's house, which initially was very emblematic for Flower Valley got blocked by the large tree in front! So why not combine the tree with crystals! To be more specific, my idea is to connect each gem stored in the chests at the top inside tree to a crystal outside among the branches. Each crystal will be made of colored glass and have lighting inside to symbolize the gem. The interior will also hold red-stone, playing a unique melody for as long as a chest is opened. 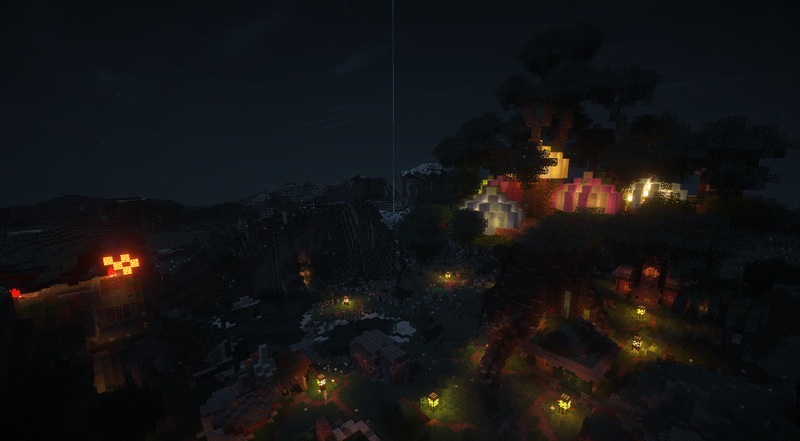 This would be really cool to see on an SMP world, seeing various crystals lighting up and hearing different melodies played in the distance as players access the different chests. The music circuits will be small, with only four notes, but they could be extended in interesting ways for other projects. Ok, let's get on with building! I first built the circuit in creative to get a compact and running design. The pictures are good reference for replicating and adapting the design in the less convenient site of the actual tree. I'm starting with lapis lazuli. Choosing a color for the crystal is easy; light blue as the primary color, and blue as the secondary! Now we need materials. I go to the Landscaper's storage for a stack and a bit more of oak leaves, then to the Forester's cabin for a stack of oak logs. At the Forester I note we are running low on oak, and take the chance to plant some more. I really want mending on 'Toma', the axe, I almost use it as much as the picks, so it is next in turn as soon as I get lucky with fishing or find a villager to trade with. I plan to use the leaves and the logs to form the base of the crystal and also to cover the transition from inside the tree where the chest is to the crystal outside. I will need red-stone, a trapped chest, red-stone repeaters and a note blocks, so I head to the Wizard's house to craft these. The circuit also requires two sticky pistons. One will be to create a switch turning on an off the music loop. The other will create the pulse from the constant signal leaving the chest. I take the chance to craft chests and pistons for the other five crystals as well. This leaves only nine slime balls left, I really need to go on a slime hunt some day! Then I realize I miss blocks for the sticky pistons, the signal to the switch to climb on, as well as blocks to place underneath the note blocks, so I head back to the Forester's cabin again to pick up dark oak wood slabs and blocks. Wooden blocks underneath the note blocks sets the instrument to double bass, which is perfect because I want to make something reminding of blues or jazz play! 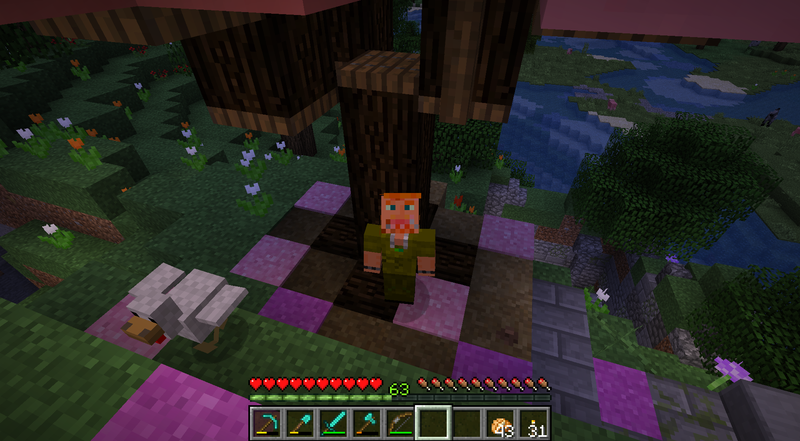 With all this material gathered and crafted we can now start building, and I climb up inside the tree. Let's have a look at the location, it might have to be adapted. It seems the place is perfectly clear for what I have in mind, save perhaps a few leaves! Great! Now I can work in the circuit. I build the first part. 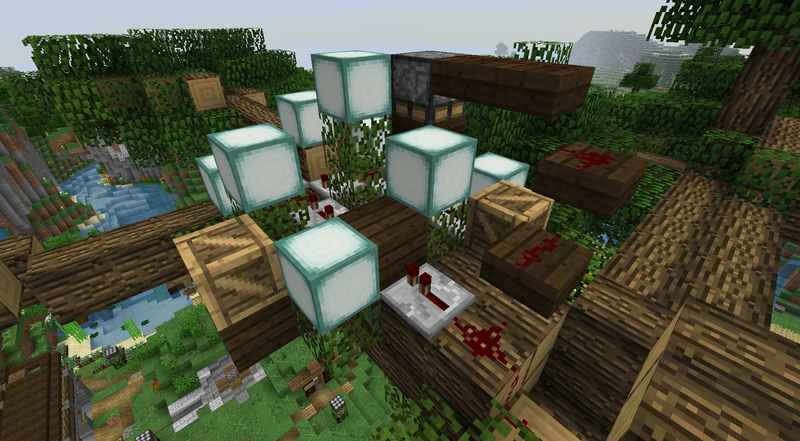 The signal from the chest is taken by a red-stone repeater. Up to a sticky piston which acts as a switch, descending a block which keeps the circuit running in a loop while the chest is open. 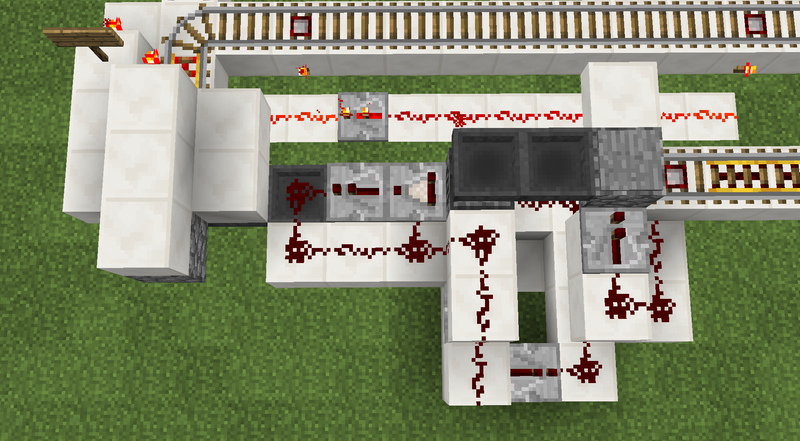 To a sticky piston which transforms the constant turned on signal to a pulse, which then enters a loop with red-stone dust, red-stone repeaters and the switch-block extended from above. Within the loop, the signal pulse is sent out in the four compass directions to the note blocks with red-stone repeaters. Placing the note blocks I realize their won't be an air block above the last note block as the half slab with the switch signal is blocking it. What to do? I choose the simplest thing, moving the chest one block further away from the circuit. 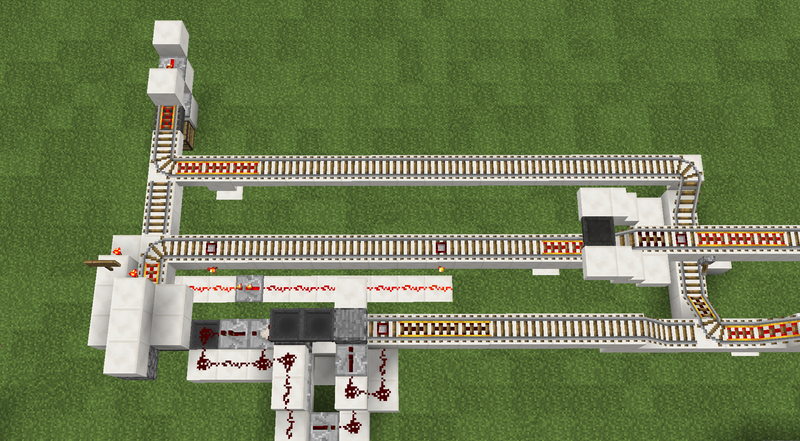 Now the signal path can be raised one block. Testing the circuit, it plays 4 double bass notes just as I hoped! I want to make what is played sound a bit blue, so I change the notes to parts of an F#7 chord. Walking bass! Root, octave, seventh and fifth, F#-3, F#-4, E-4, C#-4, where 3 and 4 are the octaves. The crystal is to be lit up by sea lanterns, I head to the Sacrificial Fountain in the Hub to get nine of these. While there I take the chance to put two stacks of sand in the furnaces at the glass maker. 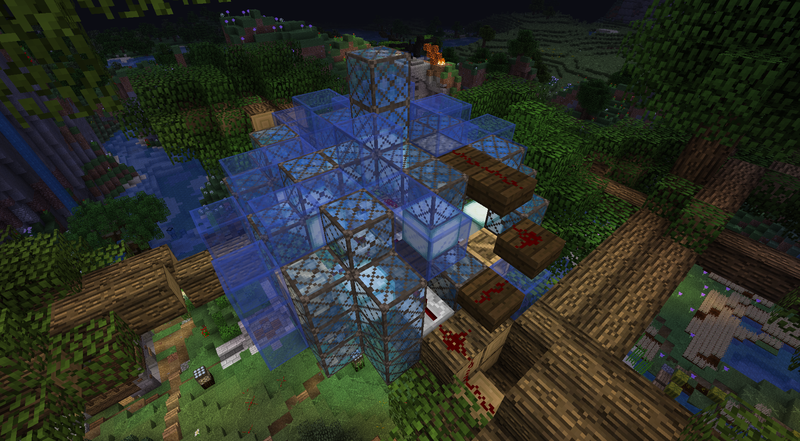 The lanterns need to be placed before starting on the glass. I place them in three different heights. First four in the corners, then four in the middle of the sides, and finally the highest one in the center. The next remaining three layers go inwards to end in a single point in the middle, making the shape a bit like an unopened tulip bulb, or an onion. The red-stone signal for the switch hinders the shape from creating perfect symmetry, but we can cover it up by leaves and logs! 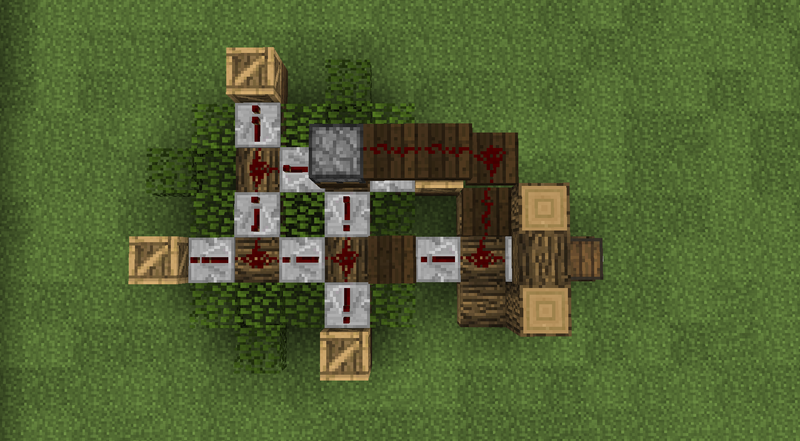 A great thing with leaves is that they don't cut red-stone signals like most other blocks! We also need to cover up the tunnel. A painting behind the chest covers the entrance to the circuit! Let' look at the result from far away at night! I really think the crystals look best in default textures, so I use it for these last screenshot. Even if I usually use Bdouble0100's textures which I really love, here they don't make the crystals look as smooth as I want them too. Now with one done, five more to go! I will put these in the next post, and keep it to be about choice of color, light and instruments, plus the final result. I continue building circuits and crystals around the tree, starting with the lowest branches and corresponding chests, which contain emeralds and diamonds. For the emerald, lime and green is a natural choice of the glass. 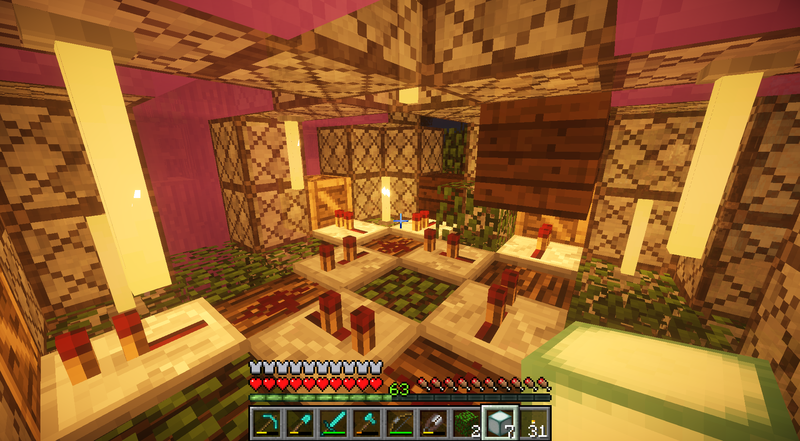 I place glow stone to light up the crystal and use bone blocks to set the instrument to xylophone. I create the diamond crystal from transparent and light blue glass with sea lanterns inside just like the lapis lazuli crystal has. Note blocks can be set to sound like chimes with packed ice, which I think fits well with diamonds and the white and light blue crystal. I pick red glass as the primary color for the red-stone crystal. As the secondary, I first considered pink, but settled on orange, which fits better with the magma blocks I want to employ for lighting. Clay under note blocks gives a flute sound. The grey color of the clay stands out a bit, even when covered by leaves, so I might want to change it in the future. Finally, the obsidian crystal. Light grey and purple glass to cover the circuit, which I light with sea lanterns. But I plan to replace then with end rods as soon as I have access to the End, which is hopefully next week! How does it sound when opening the chests inside the branches of the Life Tree? Only the lapis crystal has an intentional music style reference. 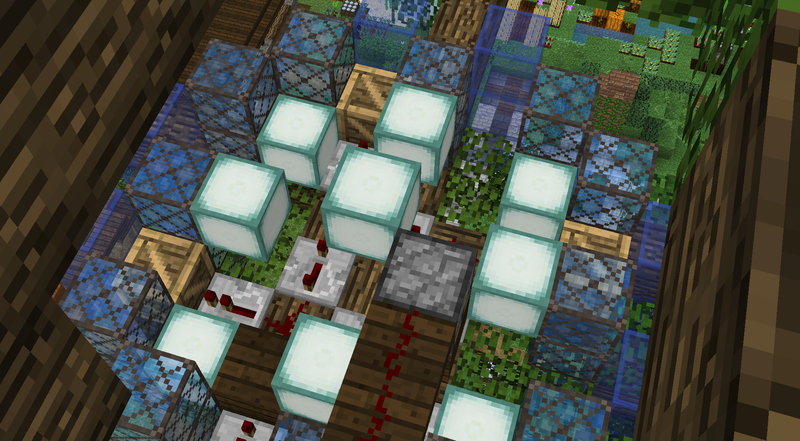 For the others I varied the rhythms by changing the delays of the red-stone repeaters. and the pitches by right-clicking on the note blocks to get something I found both pleasant and interesting. I think they all sound quite nice! If I would change them, the first would be the one for glow-stone, which I think is a bit bland. And, if you want to try and build this yourself, here is a list of approximate item requirements per crystal. If you build it somewhere else than in a tree you can of course skip all the logs and leaves! The mine-shafts in Flower Valley have been a soar thumb for me aesthetically since the beginning, so I am really motivated to do something about this. 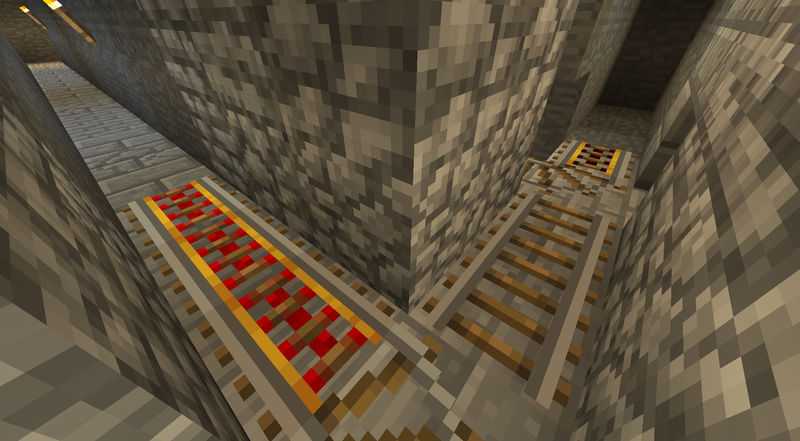 At the same time, I want to experiment more with red-stone and mine carts, and include my findings into this project. 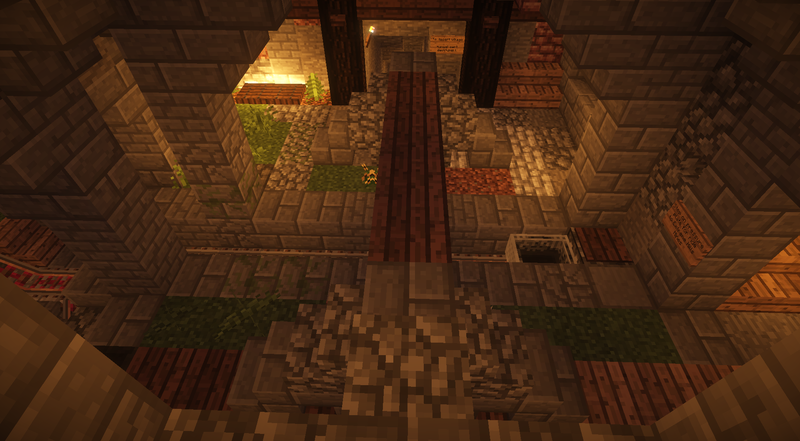 The mines are accessed behind the Smithy. This place could be expanded inside the mountain, giving access to more future locations. I also think a little bit of automation could be helpful, having mine carts drop of the goods to the smith's furnace and the stone mason in a large storage. 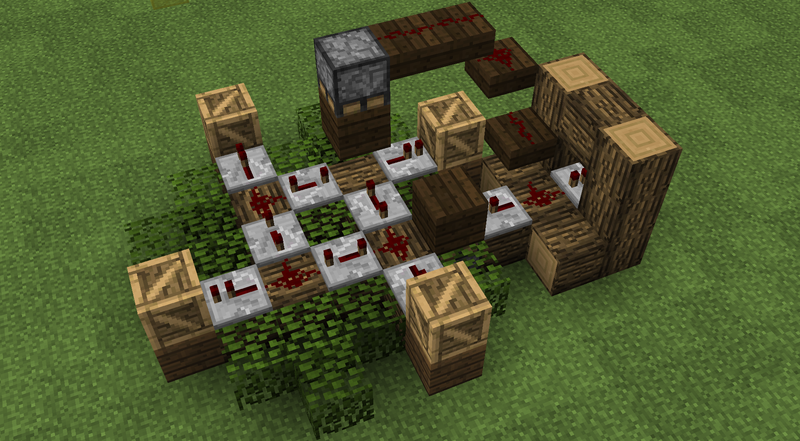 However, I don't plan on building an item sorter yet. 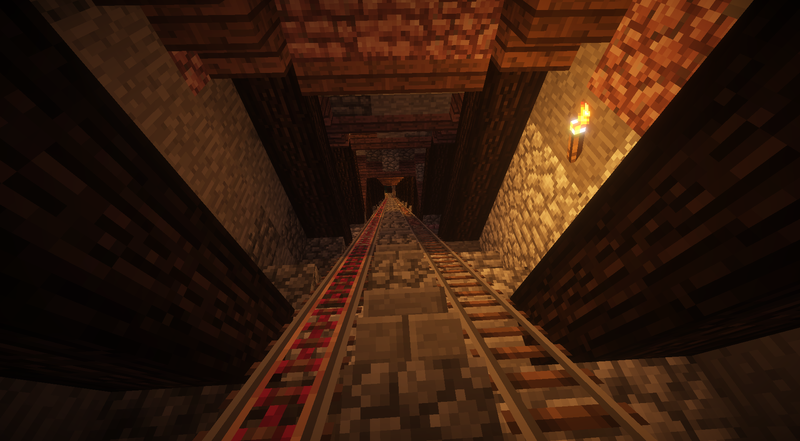 There are two stations we want to connect first with new improved tracks, Flower Valley and the Extreme Hills Mines. I start by clearing out an old attempt at the station which was too disorganized. 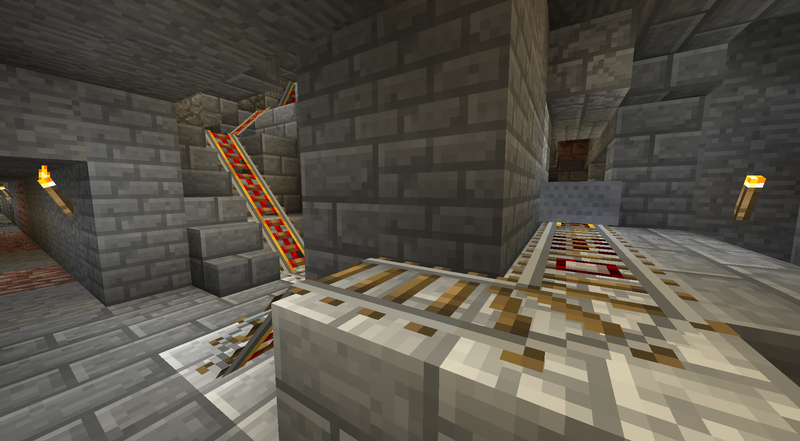 I then build a temporary staircase from the small storage to the station area. 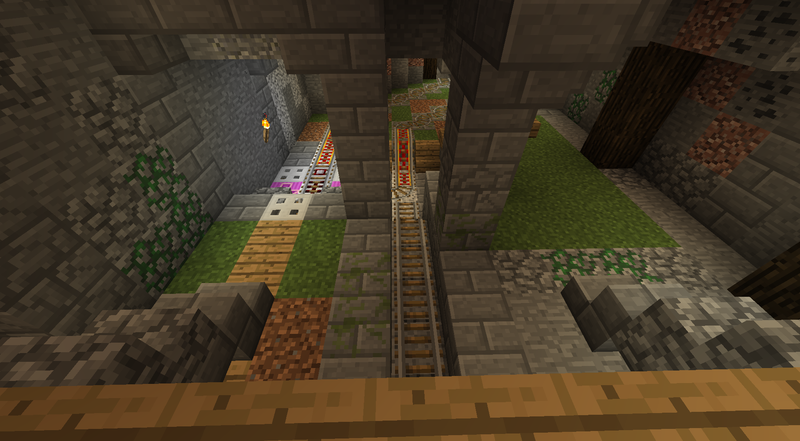 I plan to expand the storage just south of the Smith's furnace into a large bulk storage, where mine carts can unload automatically, so I build a temporary staircase down to the station to sense where the locations are relative to each other. 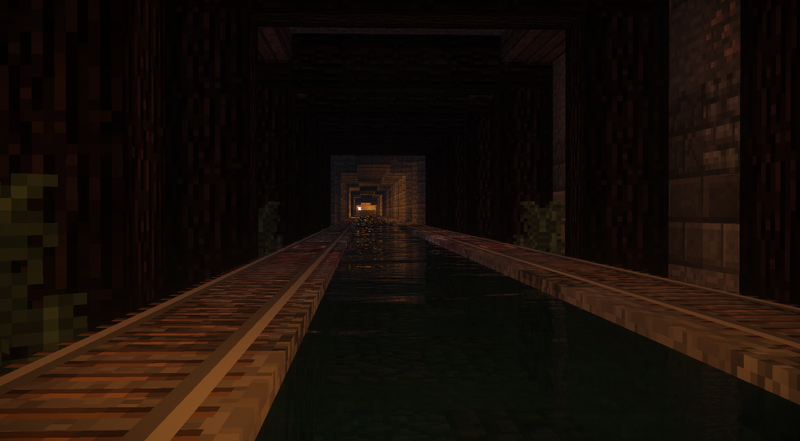 I then expand the tunnels between the stations to make room for an additional track. This simple activity will give me time to relax and get my mind clear before taking on the more challenging portions. entering a long steep slope, then a curve from north to west, and finally a long lower tunnel. 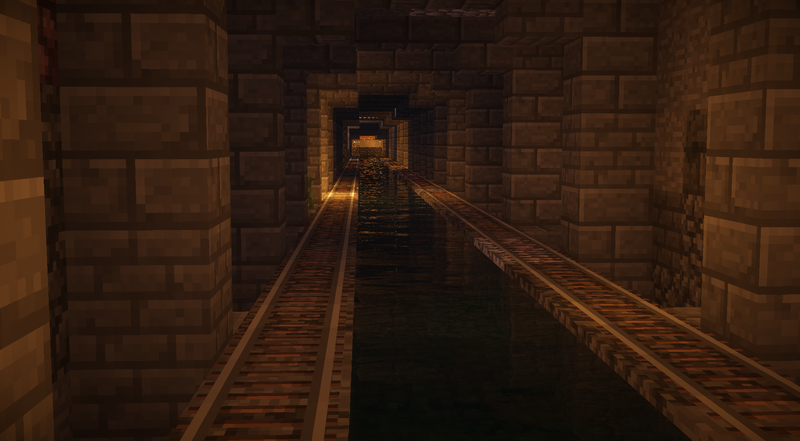 While mining I start figuring out the design for the lower tunnel and the curve. 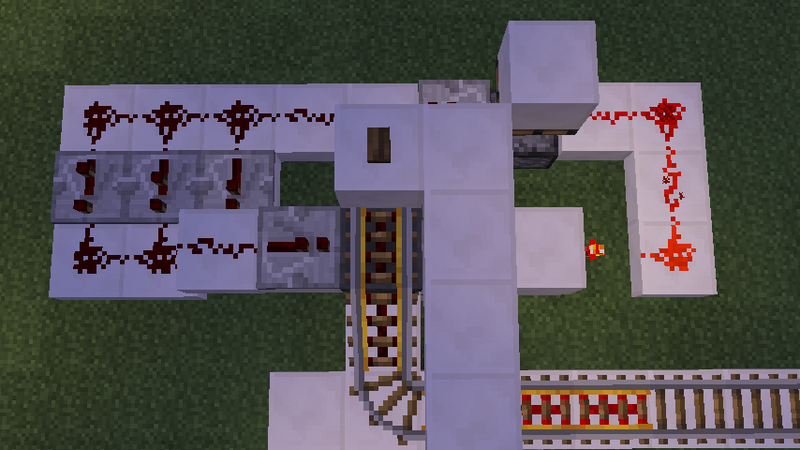 The optimal spacing between powered rails is 34, which I use as a base for spacing the amount of blocks between support pillars. I choose a pattern of 3, 4, 4, 5, 4, 4 ,3, which I think will give opportunity to create an interesting variety of decorative wall patterns. 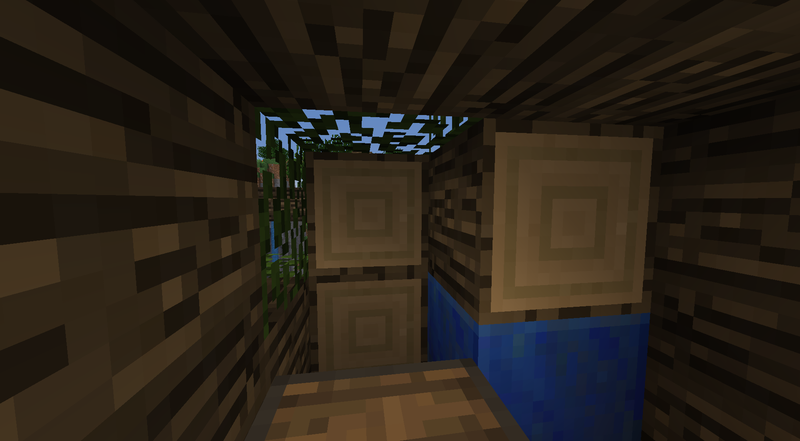 I will use wood logs for the narrower sections and stone bricks in the wider ones, although I will avoid wooden logs where there are lava pools nearby. 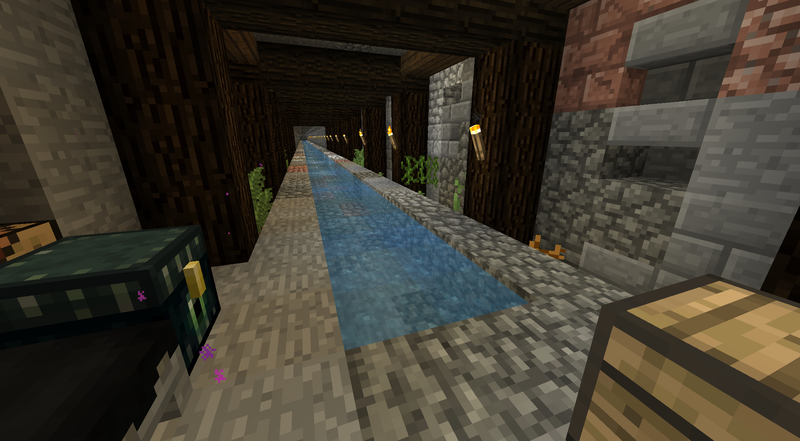 In the middle I want to add a water channel traversable by boat, so I make the tunnel six blocks wide. 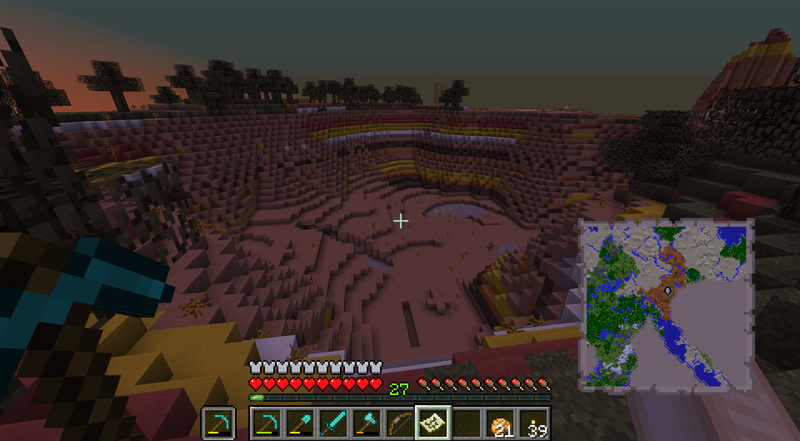 On the sides I plan to put plants and magma blocks, irrigated by the water channel. Thus I dig down one block on each side. I do some coordinate calculations to figure out where the middle of the extreme hills biome is. That is where I want to build the station. Luckily this turns out to be a place with less lava pools! After a lot of digging, I am only halfway. Exhausted I take a break to fish for enchantments. I get Fire Aspect II! 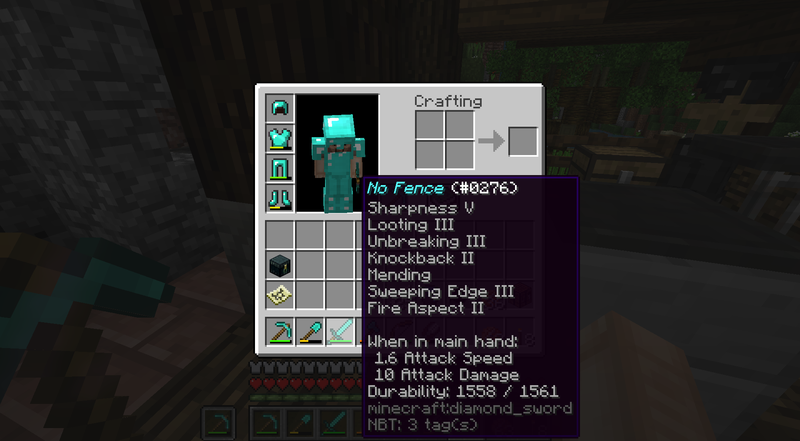 Excited I check if it can be added to 'No Fence' which already has six enchantments. It can, 35 levels! I might rename the sword too, but for now I am only at 20 levels. But fishing for Mending, smelting cobble and more digging should take me there. 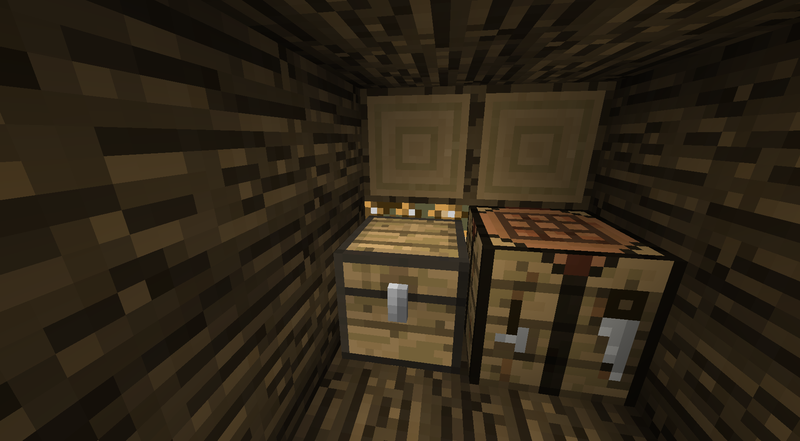 The storage at the Stone Mason is full so I am gradually adding chests down at the planned bulk storage. Getting in a good flow I complete the tunnel digout, and then start adding variety to the floors walls and ceilings. 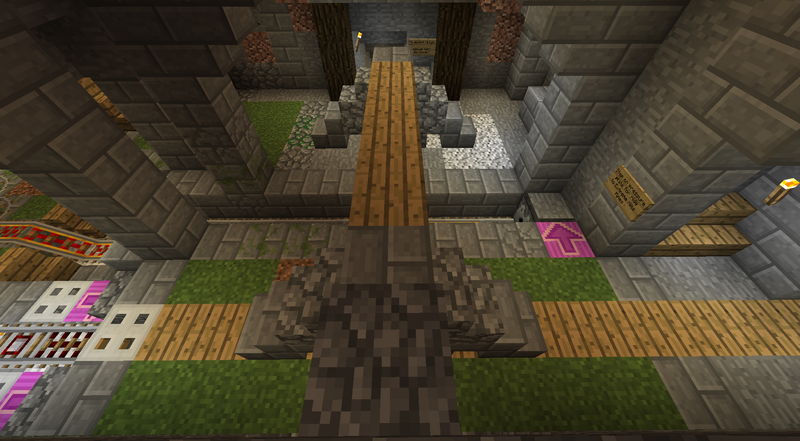 I add support pillars of wood where there are no lava pools, and of stone brick where fires would be an issue. 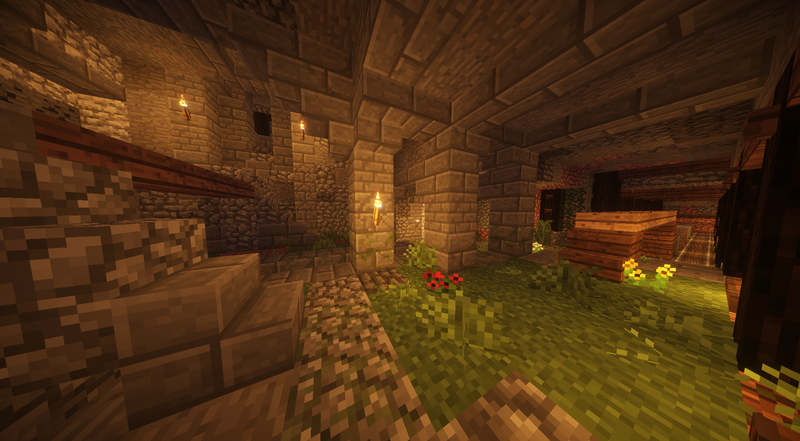 I add decorative wall patterns using the brick and smooth versions of the mineral and stone varieties. 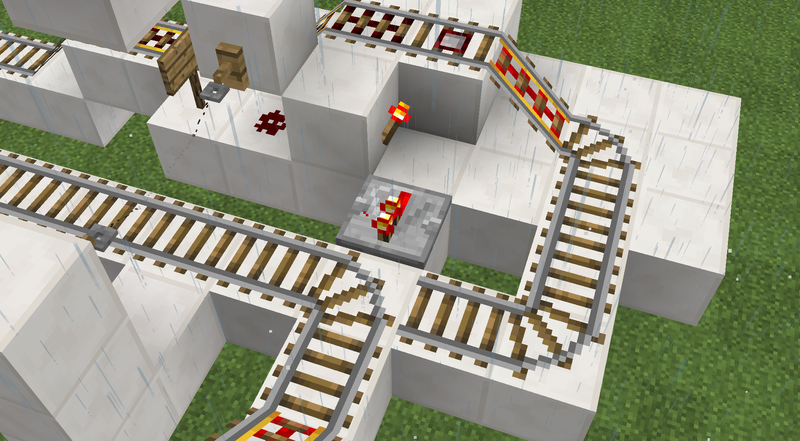 Then I add the magma blocks mixed with podsol and mycelium along the sides of the planned tracks. On these I put plants which I think would thrive best in the humidity next to the middle channel and the warmth of the lava and magma; grass, ferns, mushrooms and vines. And finally I fill in the water channel. And laying the rails. I complete the curve in similar fashion, only widening the water channel to accommodate a boat. Now it is time to enjoy the result a bit. 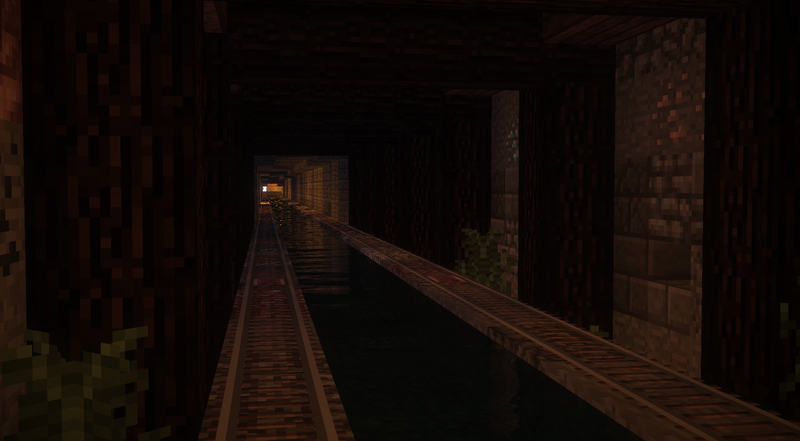 I think water in a deep tunnel adds both realism and atmosphere! 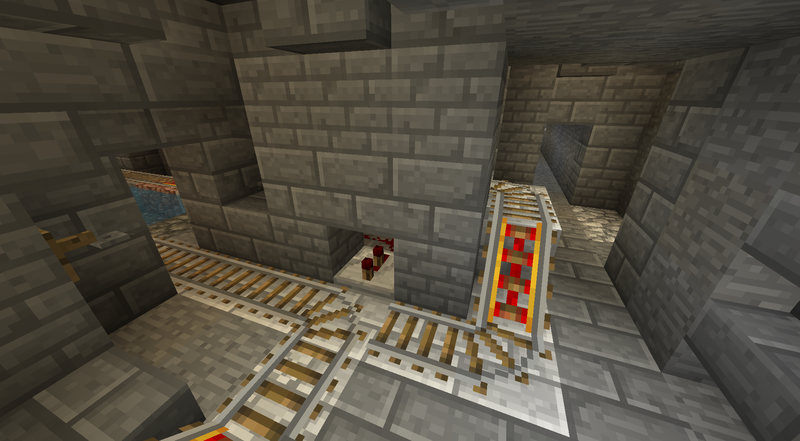 Finally,as I finish, I notice that the lower tunnel is far from safe with only the magma as lighting! A witch gets me good with a splash potion =D They don't seem to jump up on the rail however, so I will keep it dark for now. 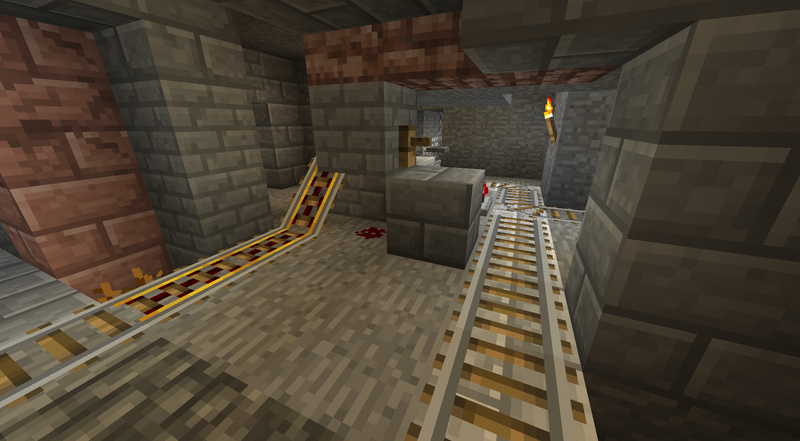 I am in need of iron for the mine cart rails, so I go on a caving trip. It has been a while since any such adventures. 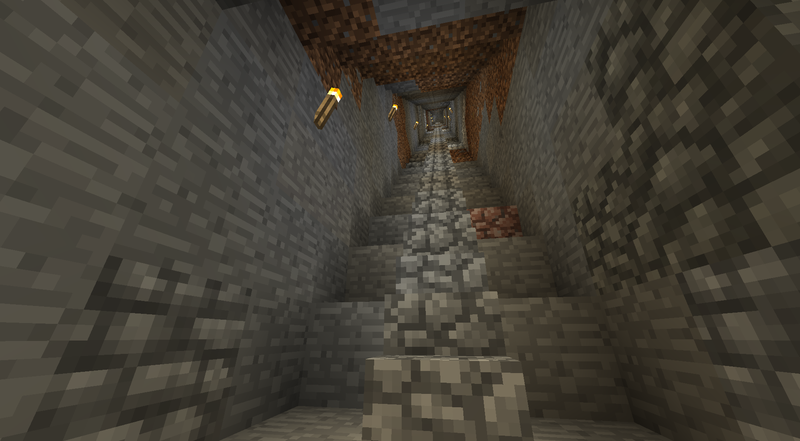 Finding an abandoned mine shaft would be awesome! I set the game to normal difficulty and head out east to the mesas. I will need some practice in battle if I am going the End next week. 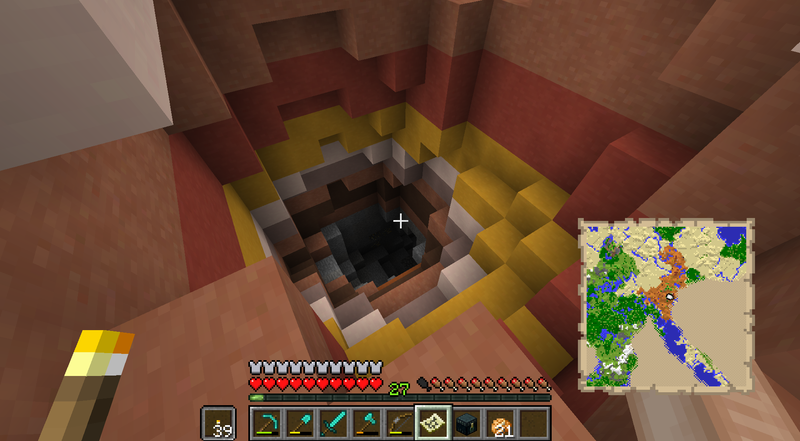 After crossing it I find this deep hole! I jump down and battle two skeletons. 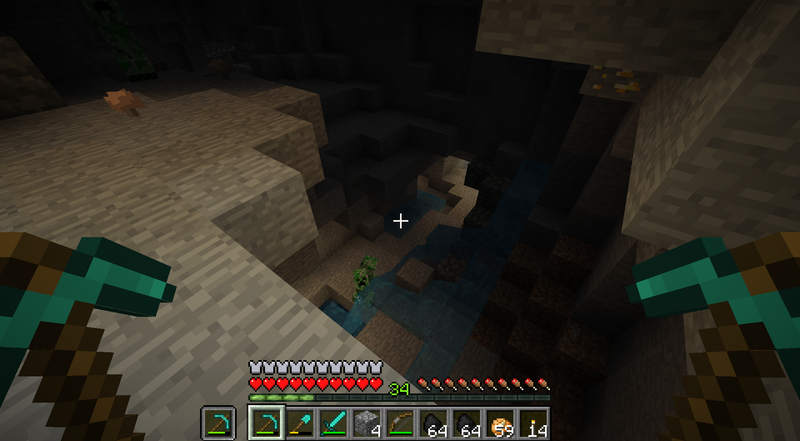 The cave has a lot of gold, and also two creepers who decide to drop down and explode on me. 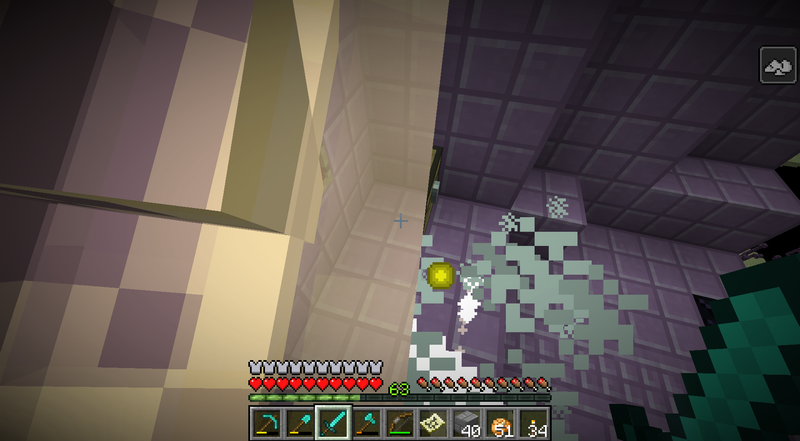 I grab the gold and also enough blocks to pillar up and investigate where the creepers are raining from. After confronting a few zombies and a spider, I fully explore the rest of the cave, ending up with 25 blocks of gold and over two stacks of coal. The XP is great for repairing all the tools, but I am mostly interested in iron. Perhaps the mesa is not the best place? 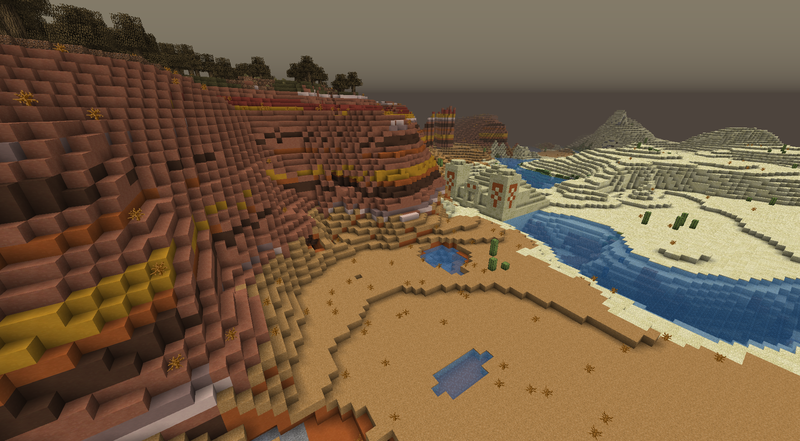 I continue the journey southeast, to a point where a river creates a border between the mesa and the desert beyond. While descending from the plateau, I spot another cave, perhaps this one is more profitable? 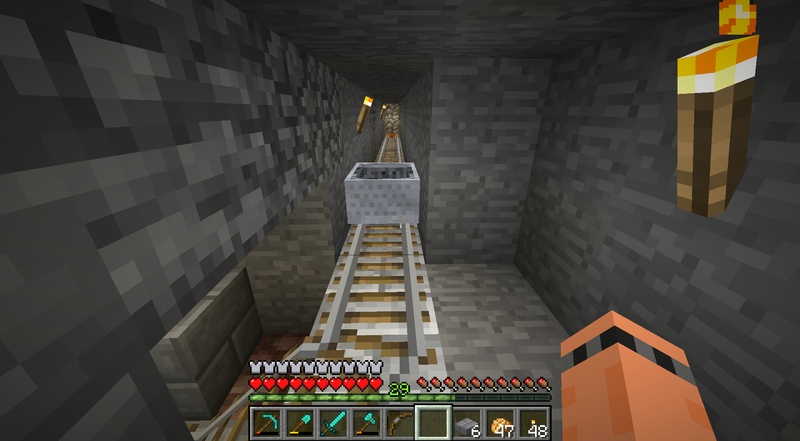 Indeed, just descending I mine nine blocks of iron ore and hoard up two stacks of coal! A bat greets me as I reach a level cave. Tthis looks good! I didn't plan for a lengthy exploration. 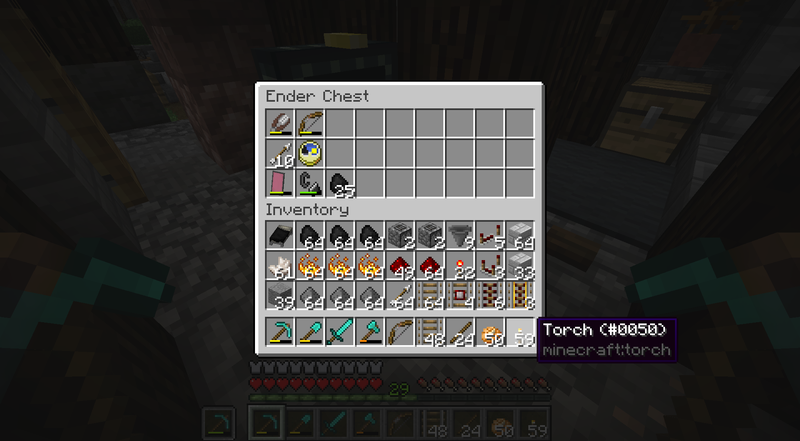 I brought only half a stack of torches and soon run out. I might not have enough gold and iron to support my plans for the minecart tracks, but these caves seems worth coming back to later. I collect all the resources in the parts I have lit up and head back towards Flower Valley, making sure to note the location of of the cave entrance on the map. In fact, it is just next to a desert temple I previously explored. On the trek back I get some good long range bow practice, I will need it for the End! I fight my way through the night towards the desert village east of Flower Valley. Happily all the villagers seems to have made it safely through the night. I gallop back across the four bridges and start smelting ore gathered and sorting out the rest of the items, mostly coal and mob drops. At 29 levels, I am six short of creating what I think might be the ultimate sword, yet to be named! Dark oak logs for support structures. Andesite, granite, diorite and cobble stone to create interest and variety in the floor, walls and ceiling. Stone bricks for detailing. 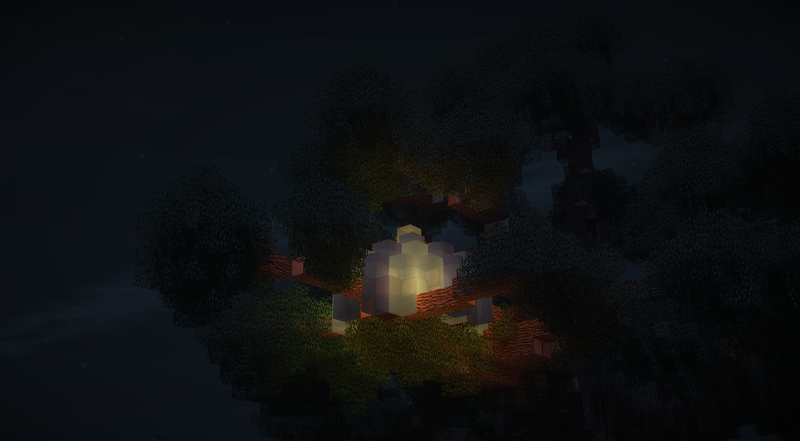 I will stick with torches for lighting. And rails. The ascending track will go on the western side. I have a lot of gold from raiding the ocean temples and caving in the mesa and decide to make all of it powered rails, to simplify things. It also coincides with the idea of the Day & Night hallway, where gold represents the sun and iron the moon. 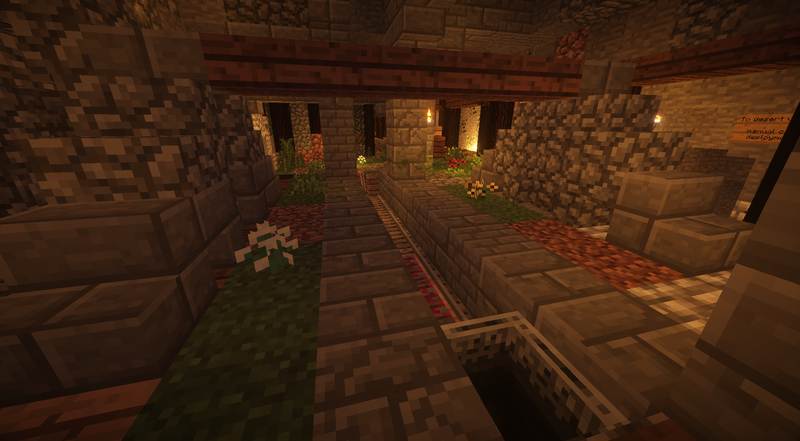 I start by adding variety to the staircase, alternating between cobble and smooth bricks. Next I make sure the height to the ceiling is the same all the way, and I dirt which does not make sense taking gravity into account with smooth stone. Now I can start putting in the support pillars, with four blocks between each arc. I dig out the space in between them. Not having them flush with wall is more realistic and also adds depth. After the first part of the support structure is done, I work in the various minerals, trying to think in terms of veins running continuously along ceilings, walls and floor, breaking the monotony of the grey smoothstone. To seem natural these need to break the borders of the support segments as well, passing behind the pillars. Where the tunnel crosses a ravine I try to create a sense of there having been a rock slide breaking while digging through here, instead of having the tracks cross mid-air. Now I add the final support structures, half slabs and stair blocks between the pillars. I add more in places where the rock seems less solid. I don't add any wall decorations here, to give more contrast to style of the lower tunnel, as if the miners grew more proficient and inventive as they dug deeper. 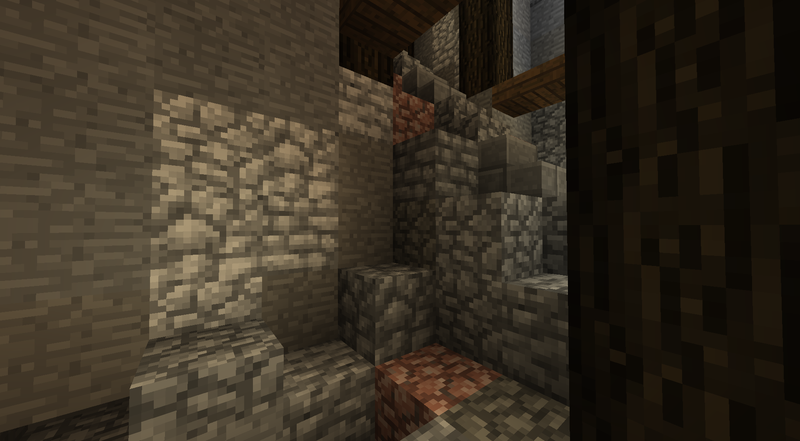 Instead I add cobblestone half slabs as fallen rocks along the walls, and smooth blocks to support the tracks, of the same type as the surrounding blocks, as if the miners smoothed the natural rock without cutting it out. 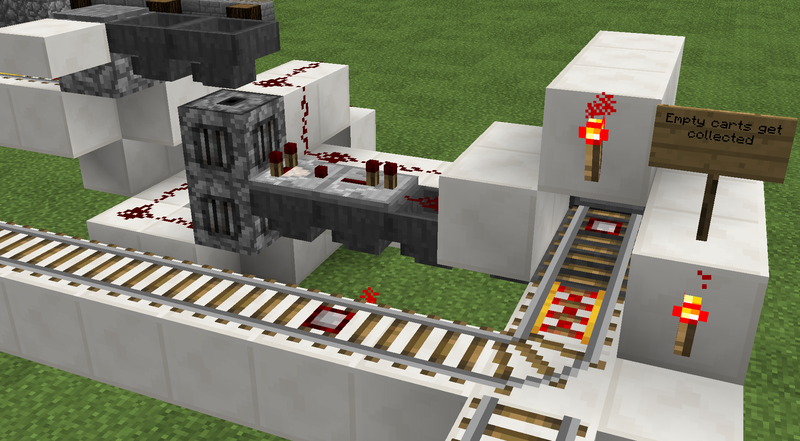 I start placing redstone torches under the blocks on the west side, add the powered rail and then the normal rail. I worked out the functionality in the test world, and it is now "simply" (we will see..) a matter of transferring the designs. 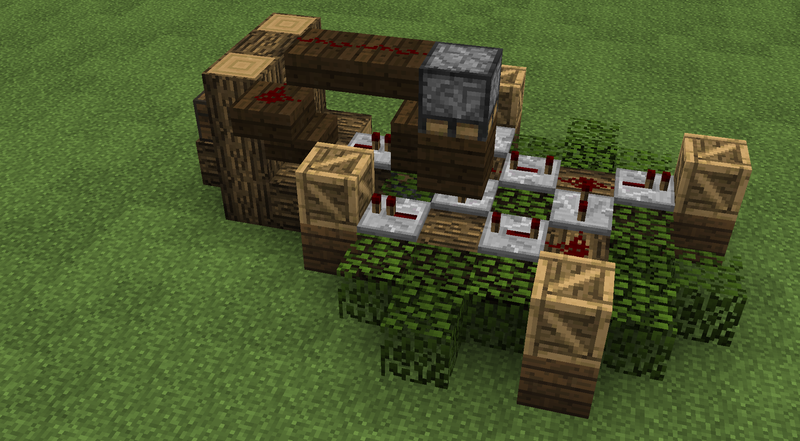 I will build the redstone first, and let the detailing adapt to the space needed for the contraptions. To begin with, I look at what I developed in the test world. But I scrap it after finding the first one under item unloaders on this page on the Minecraft wiki. With a size of 1 by 4 by 3 blocks it is so much more material and resource efficient! 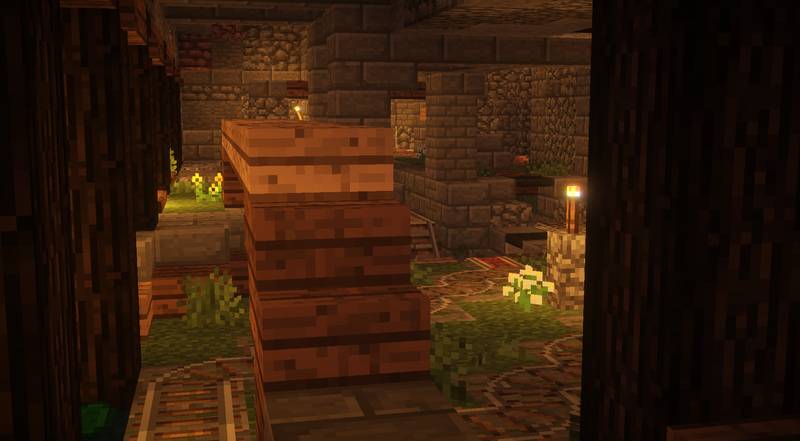 With the storage located underneath, perhaps a spiral staircase will be the way to access the storage from outdoors, unless I make a lower entrance than the current one. The area empty cart collection and transport to re-deployment at the departure platform is ten blocks long, six blocks wide and four blocks high. Interlacing with it is the detection of empty carts vs carts with chests, which is 11 blocks long, 2 wide and three high, and which I might have to redesign since it seems very sensitive to cart speeds and thus prone to errors in its current state. We don't want fully loaded chests to end up in the cart dispenser! 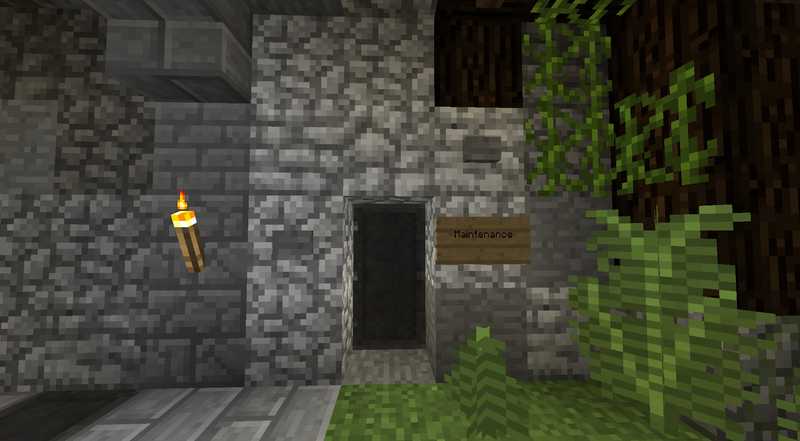 I want both departure and arrival platforms to be as close as I can to the entrance from the blacksmith. Doing this also leaves room for creating something more advanced in regards to the tracks coming from the desert. 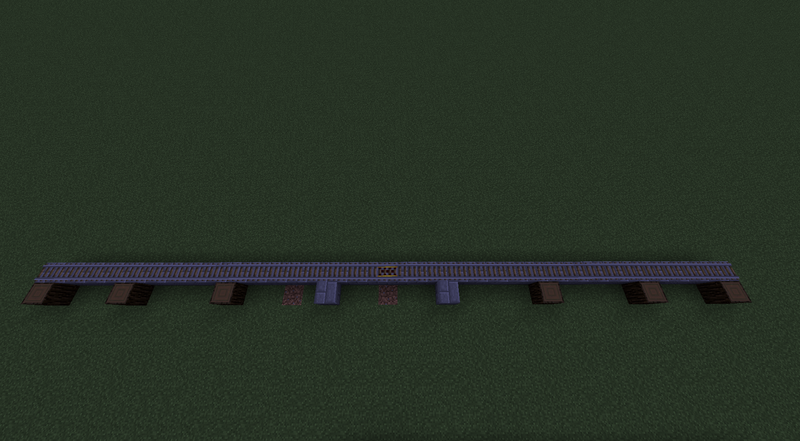 I start digging out the channels for the different tracks, carefully counting blocks. 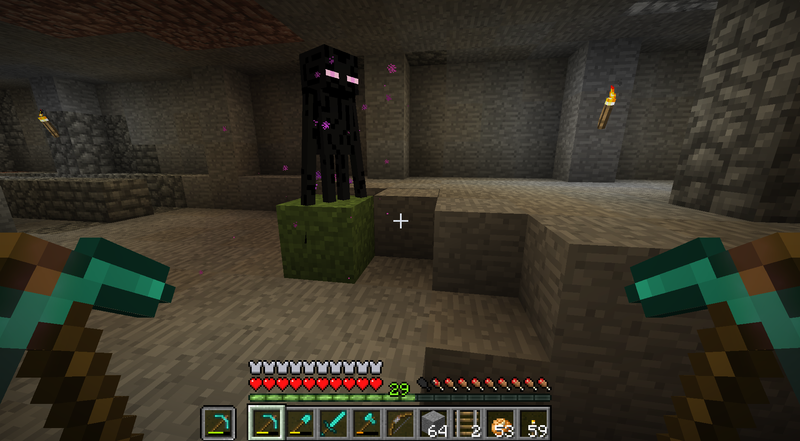 An enderman says hello, playing with a grass block. It gives me a great idea for decorating the station; I will use grass with flowers on the platforms to give a welcoming feel suiting Flower Valley! I finally learn the recipe for activator rails! =D Two sticks was not expected! 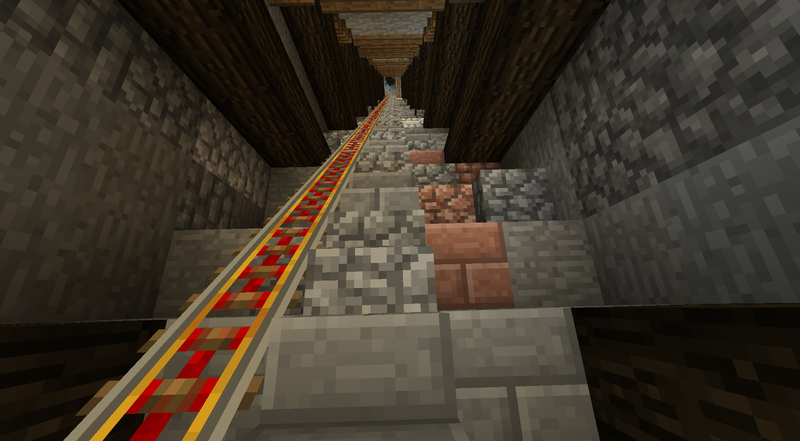 I use polished diorite for all blocks supporting redstone and rails, in this way I decrease the risk of accidentally digging any important part away from another direction in the future. The cart collector line works on the first try! Yay!! Filling the dispenser with lots of boom-boom. Nine stacks of fire charges should last a few trips to to the mines! 576 to be exact, and there goes almost all my gunpowder supply. At least some are left for fireworks to celebrate with after the End! 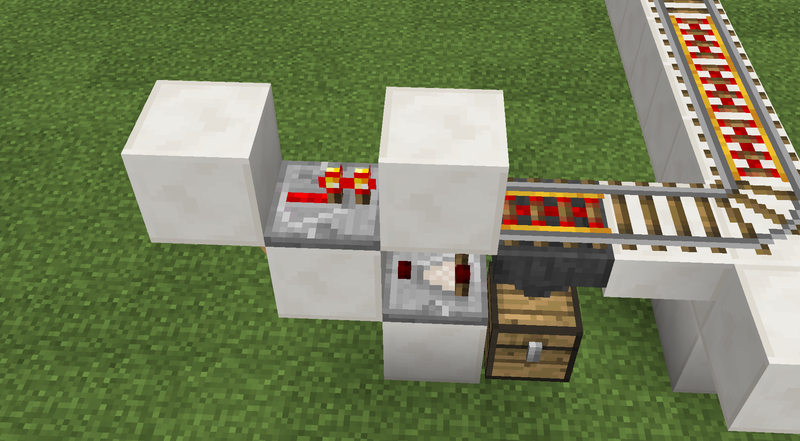 After some fibbling with the cart type detector and wasting a few fire charges on testing, I finally get all the functionality working and can take a rest from redstone for a while! Time for some fun decorating! 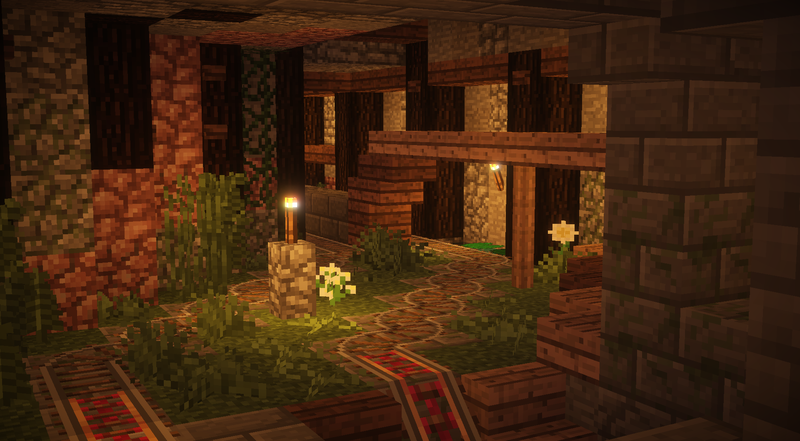 I want to incorporate not only grass and flowers, but also, small wooden bridges and walkways around the platforms along with some mossy stone pillars and tree roots and water coming down from the ceiling. After a lot of running here and there with resources I dig out an extra storage at the water south of the smithy for all the stone gathered. I feel I am getting closer to what I want.. But still, there is a lot of details to figure out. 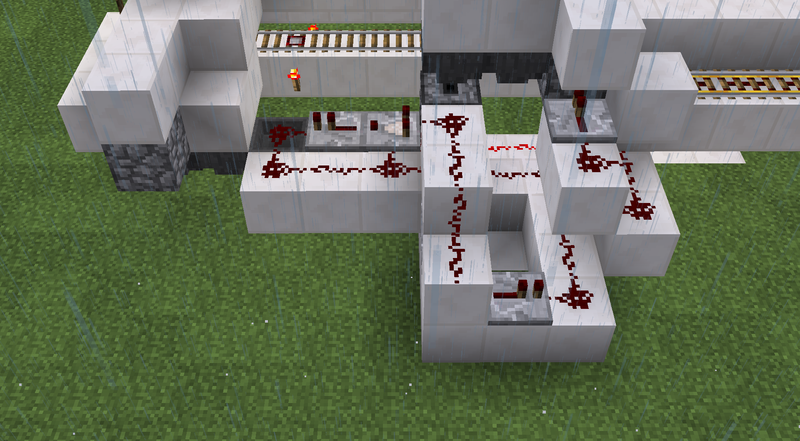 The arrows on the glazed magenta terracotta are fun to indicate the direction of the tracks, but I am unsure it really fits the theme I am going for. The bridge across gives access to the other track to the village, which will eventually get proper arrival and departure platforms too. From that side, one can also walk over a second bridge to take the route by foot down to the boat in the lower tunnel canal. This station is very simple compared to main one at Flower Valley. 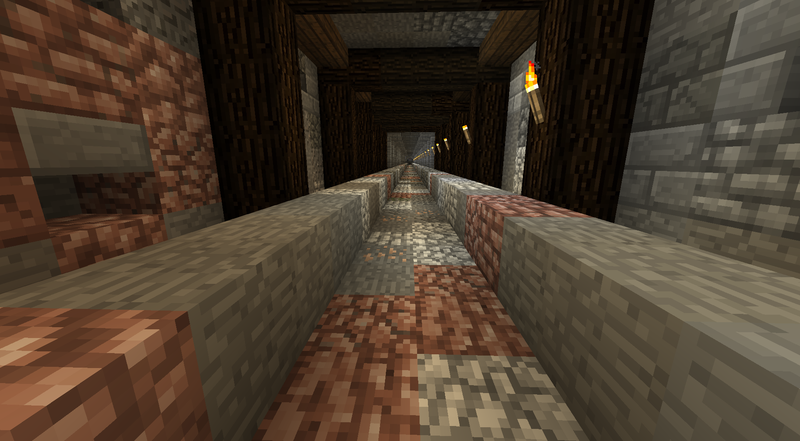 It only separates between the player and a minecart without a player with a tripwire hooked to a rail junction. 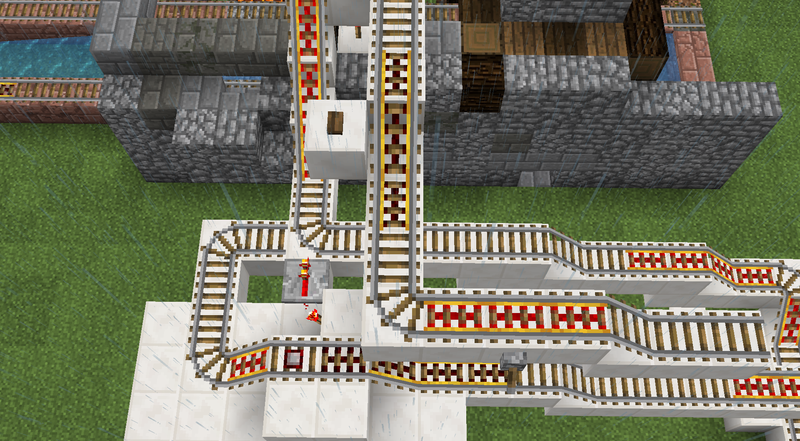 It sends the player to be dropped off to the platform by a detector and activator rail, and the chest cart up a slope to held waiting on a deactivated powered rail until the player sends it by a button press. The cart which the player arrived with awaits a button press in the same fashion, just a few blocks after dropping off the player. 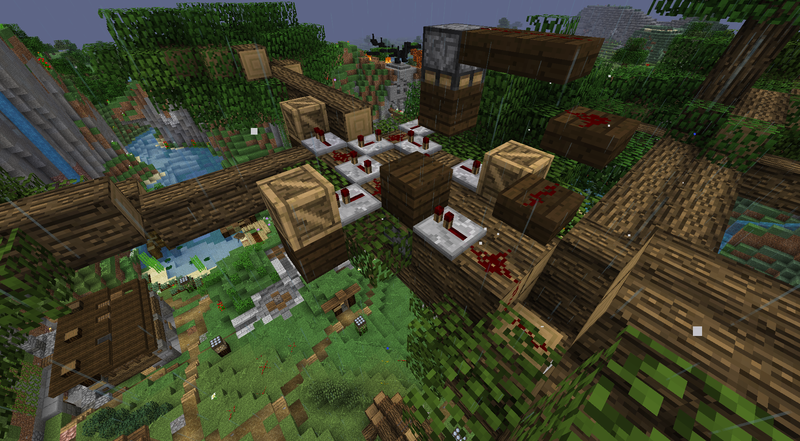 It has a fun way of joining the chest minecart with the main track again, by dropping it from four blocks above. This station is so small it is a breeze to build! After a few adjustments it work perfectly! At Flower Valley Station however, things are still a bit shaky. 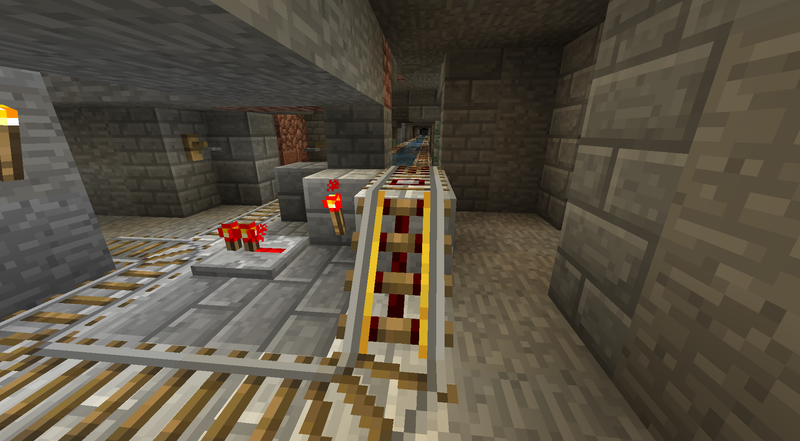 The empty mincarts have to be retrived via the maintenance entrance, or they will block the track for the chest carts. 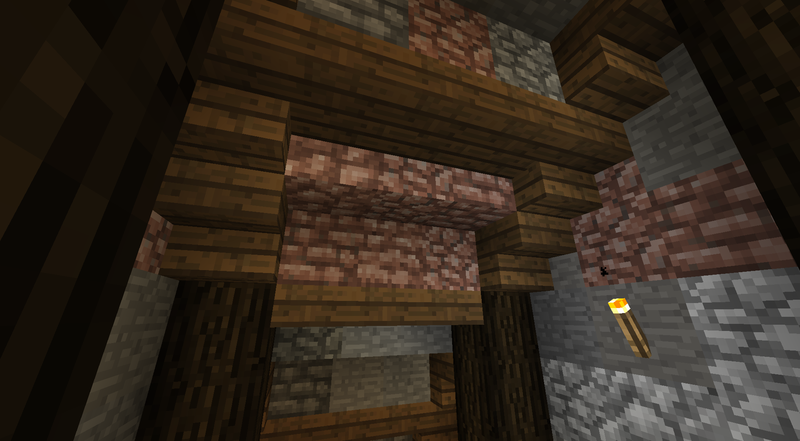 I make simple decorative adjustments, using the blocks I mined out to make smooth stone brick pillar supports. 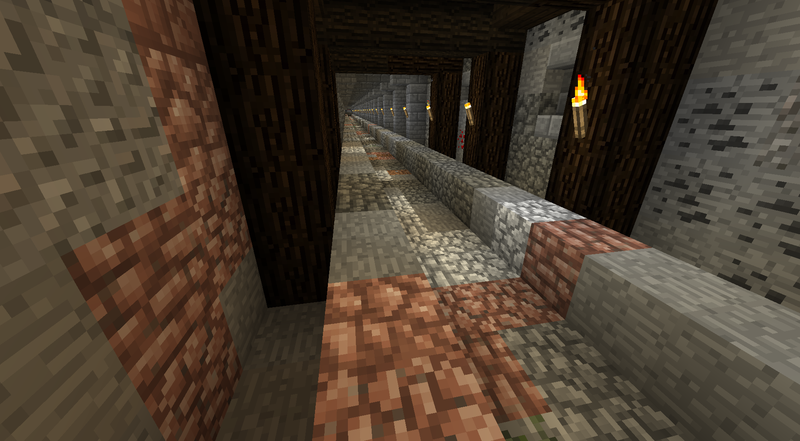 I use smooth diorite again for the blocks under the tracks. The result is plain but I like it! 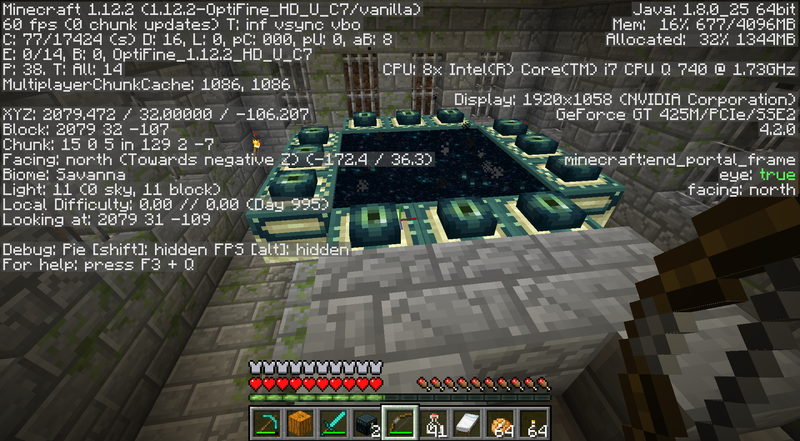 Finally I go mining a bit to test the new system. It feels pretty good to have all the items sent back and dropped in the storage, but of course, I need to mine more than a full inventory for it to be actually a time saver! That's it for minecarts and rail! Next up is the End...! Good luck with that End Dragon! Take lots of healing potions! 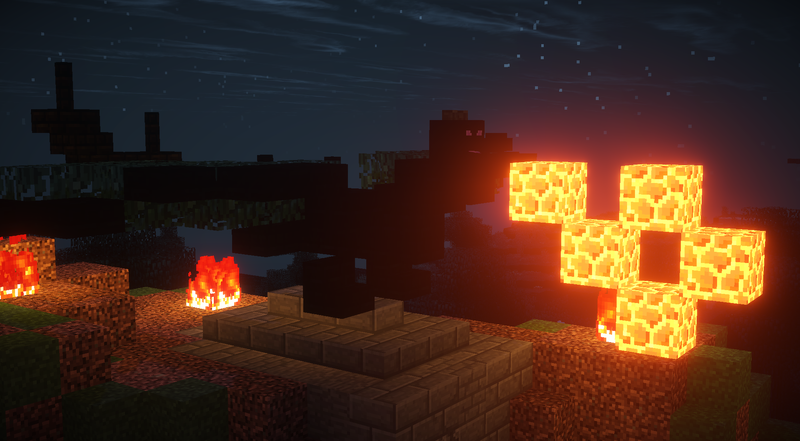 Sending you luck and strength to free those poor Endermen from the oppressive tyranny of the dragon! Haha, I read this too late to take this advice.. you will see what happened without any potions.. I start the preparations for the End by fishing and switching my mouse hand to the left, knowing that this practice will trick myself to be more body aware, active and alert when I switch back again. 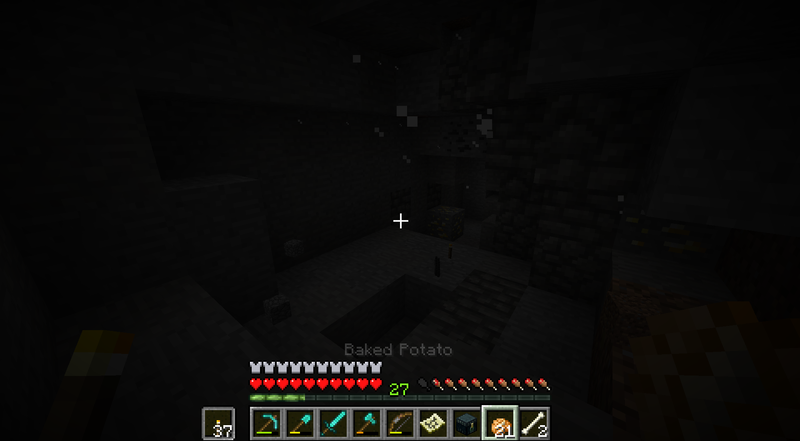 Then I go for another trip to the mesa caves I discovered earlier, this time bringing two stacks of both torches and potatoes. I want the journey to bring me plenty of XP, enough to upgrade the sword, and also battle enough skeletons to get a high supply of arrows. I do carry an infinity bow, but I prefer using the bow with mending first. I bring the map from the balcony along, I begin playing with a laptop keyboard, but soon realize it does not feel right, and I switch to a mechanical external one. 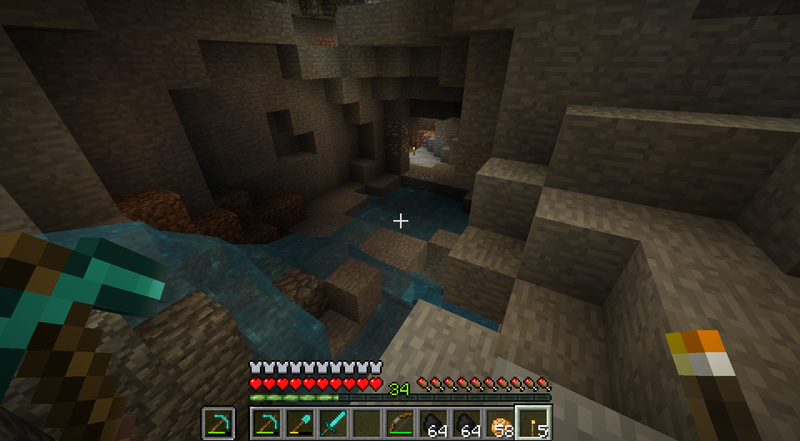 I enter the cave down to the left in the screenshot, close to the one I previously explored, and soon enough end up at the same ravine as before. I dare a jump across it, into a waterfall to get onto a ledge and mine a patch of gold. Down in the ravine, baby zombies sound not too different to one of the neighbor here when he is cranky. I continue the brave jumps down to the bottom of the ravine, the baby zombie jumps in lava, and I only have to deal with a skeleton, which I reluctantly use an arrow on. 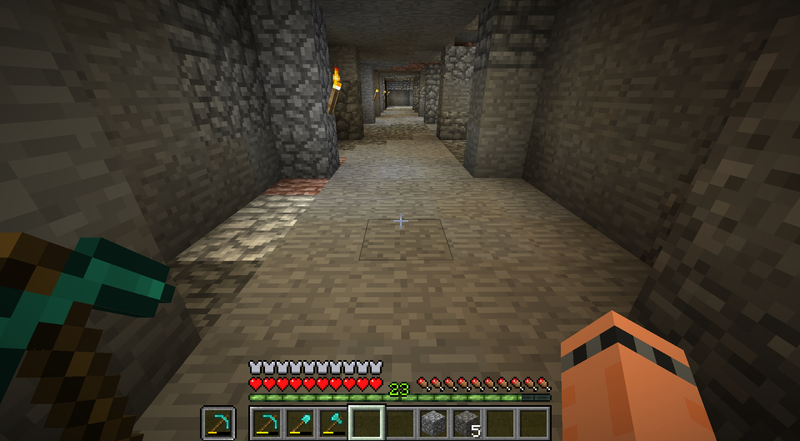 I enter a cave at the side and mine redstone, part of the goal of this trip is to let the XP repair the pickaxes. For this reason, I don't carry a shield, but have the pick with the lowest durability in my off-hand instead. 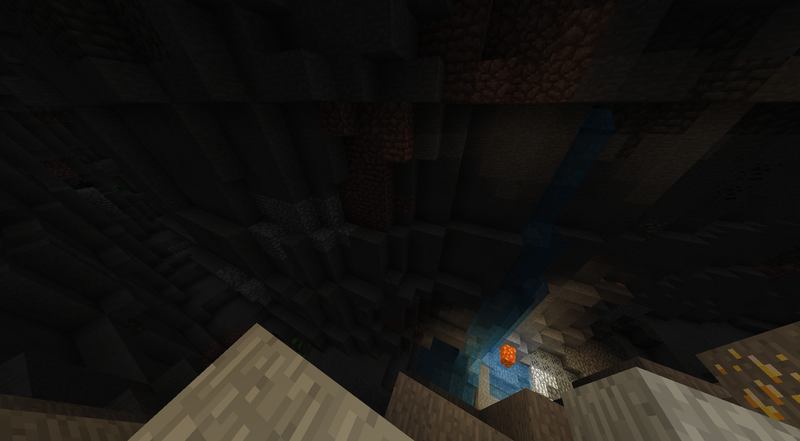 The cave leads to another ravine, where I get a creeper explosion at a blocks distance. No damage, it seems that the Blast Protection VI on the boots along with Protection VI on the rest of the diamond gear has made me quite impervious on Normal difficulty. 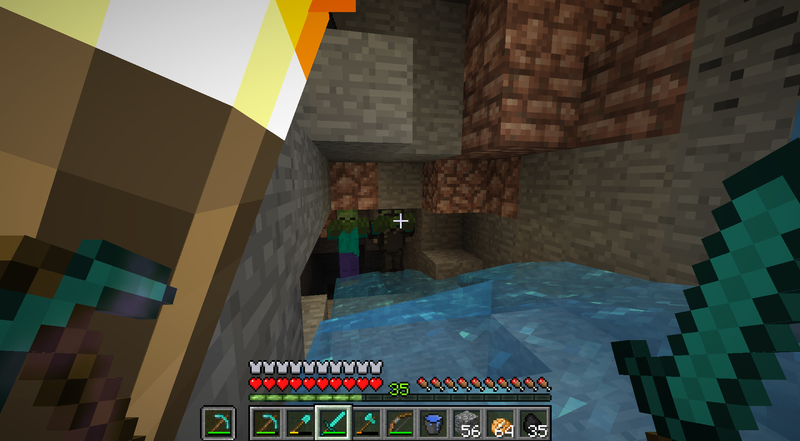 As if reading my thoughts, while digging out some iron, two creepers encroach at the same time. but not even a dent in my heart bar! While this is good to know, I should be more aware of my surroundings. Focus! Witches are another story, and I meet a pair of them and a couple of zombies back in the first ravine. Splash potions are not brushed off by the armor, and the hunger bar needs management. With a full inventory I wall myself in, plop down the ender chest, craft coal and redstone blocks, sort out items and relax. 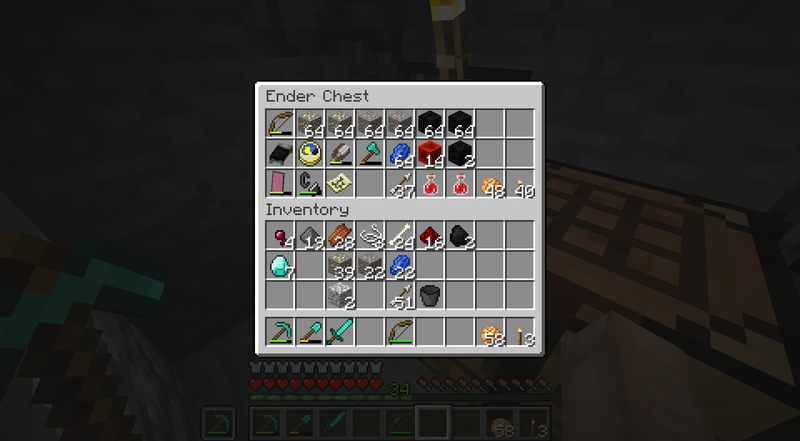 Full stacks of items go in the ender chest. 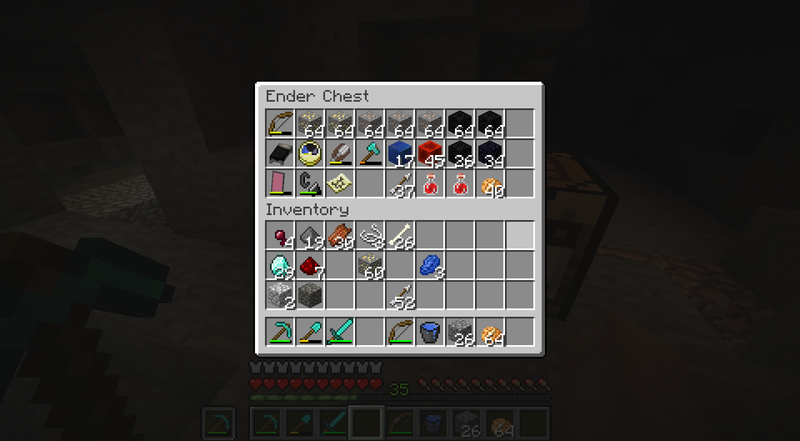 So far, only a stack of gold ore. It seems that I got health potions and sticks from the witches. Great, I can make more torches! 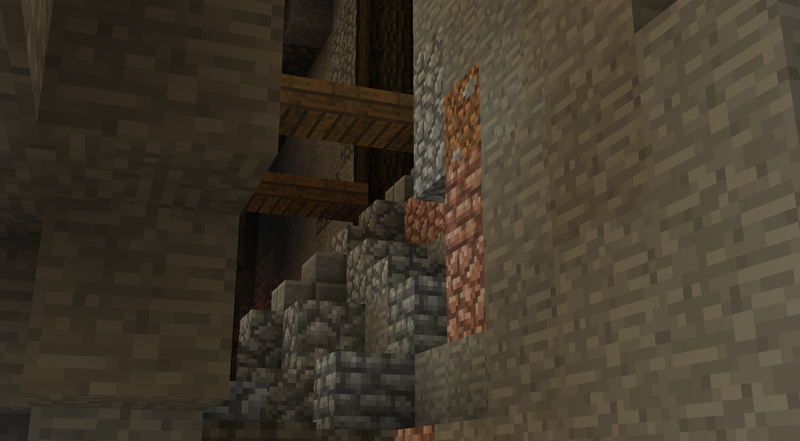 I continue mining in the ravine, mostly gold and coal, with occasional patches of iron. Just as I think I fully explored it, yet another side entrance is revealed, in the middle where a lot of water and lava is flowing. 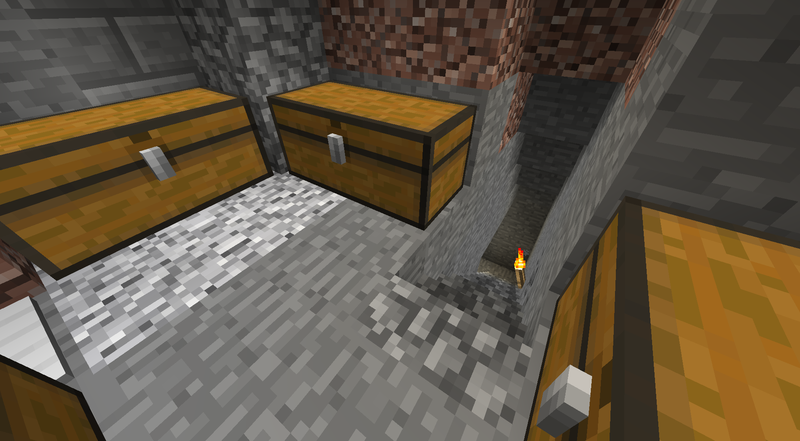 Will this one lead to more varied resources, including diamonds, lapis and redstone? 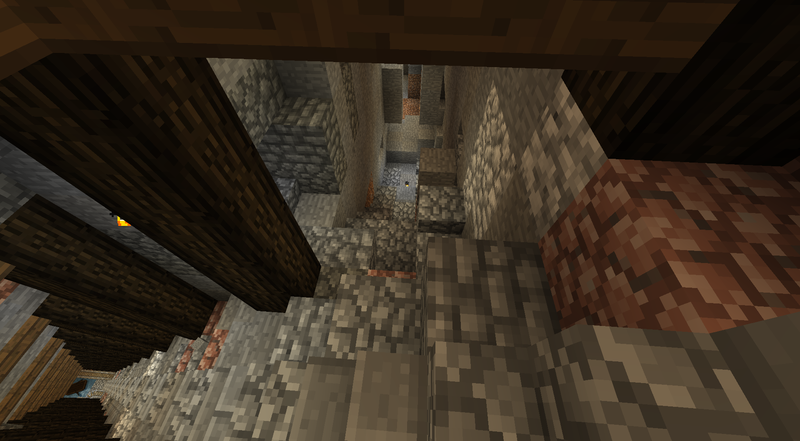 Exploring a mineshaft would be a lot of fun too! But first I take another break to better organize the inventory. Full stacks of iron and crafted coal blocks enter the ender chest, along with the health potions from the witches, since they do not stack. The shears and the map are of no use down here. Neither is the axe, except for picking up the crafting table faster, which is during inventory management anyways. And extra torches, potatoes and arrows do not need to be immediately accessible. I keep the various minerals and mob drops, since I will surely pick up more, and one item takes up the same single slot as four. Better organized, I proceed. I want to reach at least level 35 before going back. 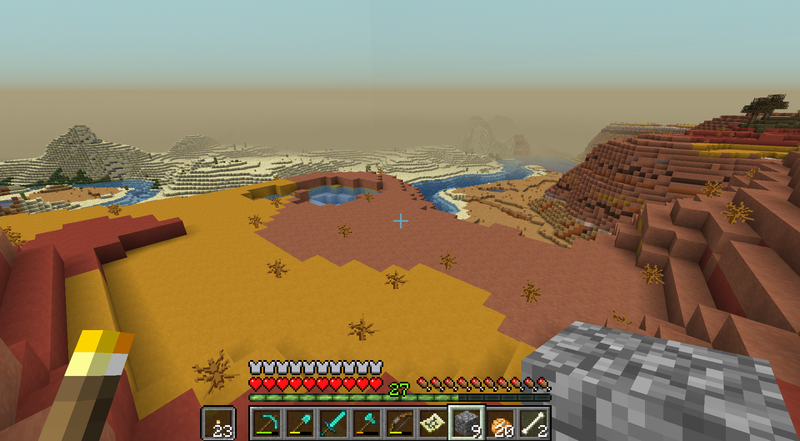 completing another stack of gold ore blocks while backtracking to the place I entered from the mesa. I reenter the first entrance I discovered, knowing that there were unexplored directions before I reached the ravine. 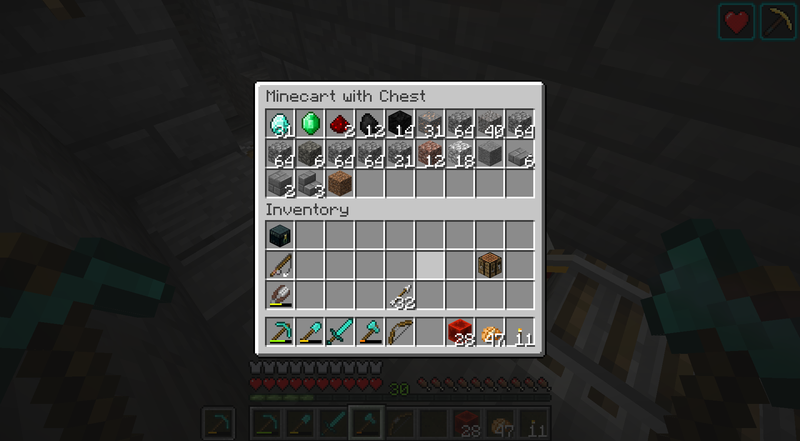 I encounter a shaft with redstone at the bottom. Should I jump? I don't jump yet, but take note of the location. In a horizontal tunnel I come upon the three skeletons whose bones I heard rattling for a while. They start fighting each other, giving me the opportunity to take them out in three decisive swipes with 'No fence'. 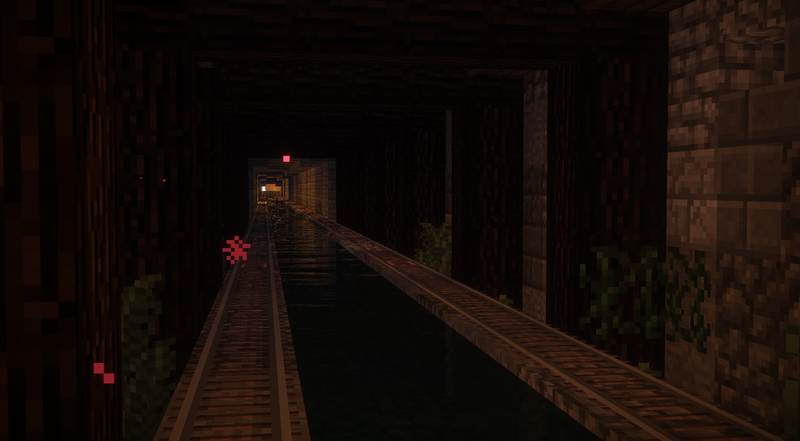 That tunnel was a dead end, save a few iron blocks. I still hear a spider and skeletons, so there is more to explore. 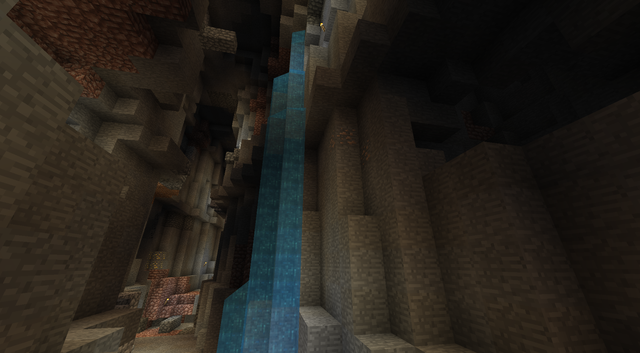 Indeed, I spot a cave above my head when returning to a crossing. 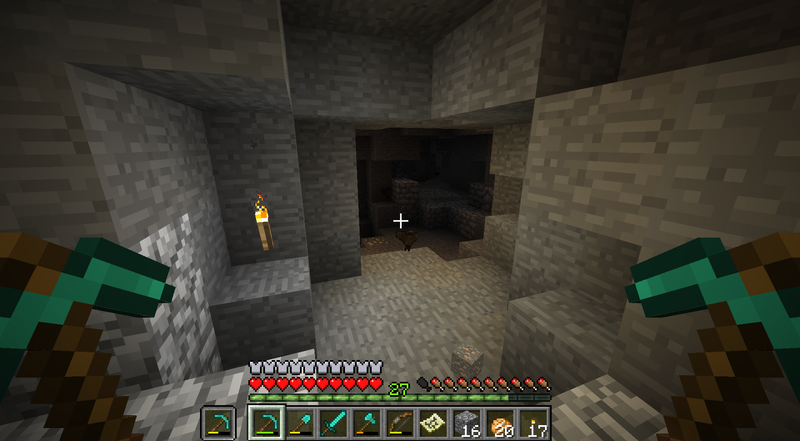 Although I prefer lower caves, I don't want to leave this unlit dropping mobs on top of me. It turns out to be the cave where the spider hides. Alas! 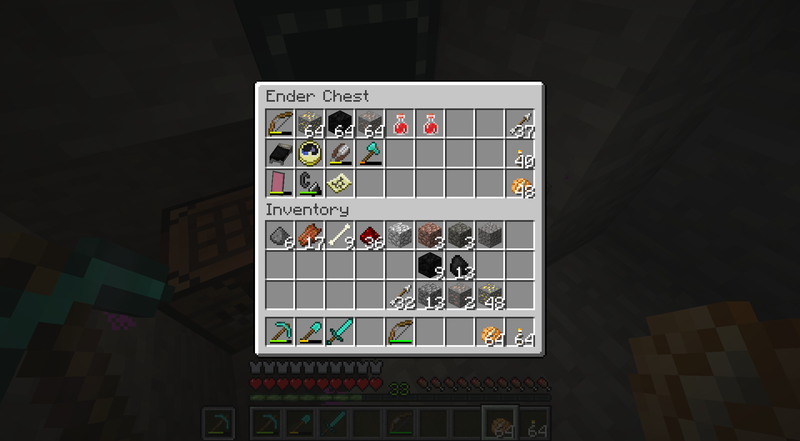 No poison spider and abandoned mineshaft! Still, gold trickles in and we are up to two and a half stack. 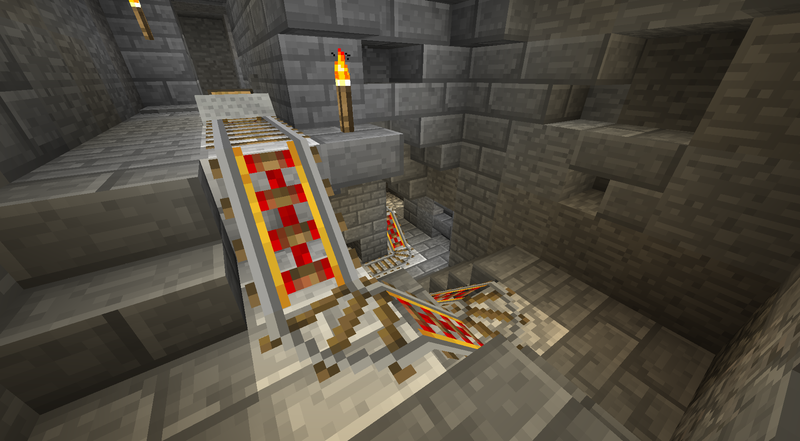 I return to plunge down the hole with redstone. 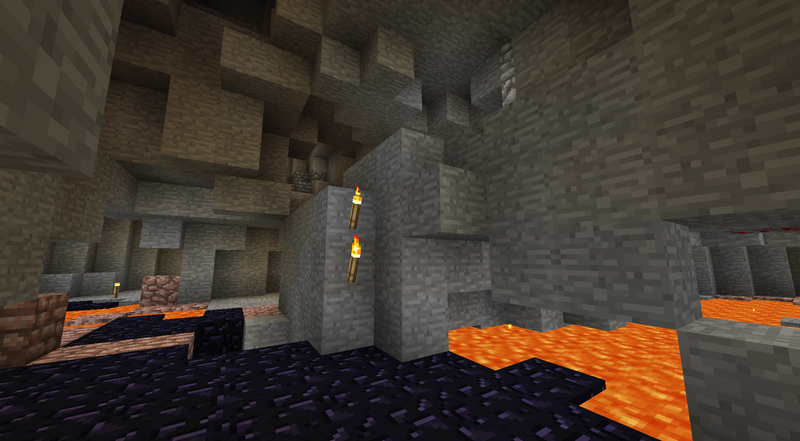 It turns out well, there are many unlit areas down here, divided by lava pools. After surveying the area I am almost certain this place will provide enough mining to both repair the picks and reach level 35. And it has lapis, I relish this, I will enjoy the musical crystals playing when sorting the gathered treasure back in Flower Valley! 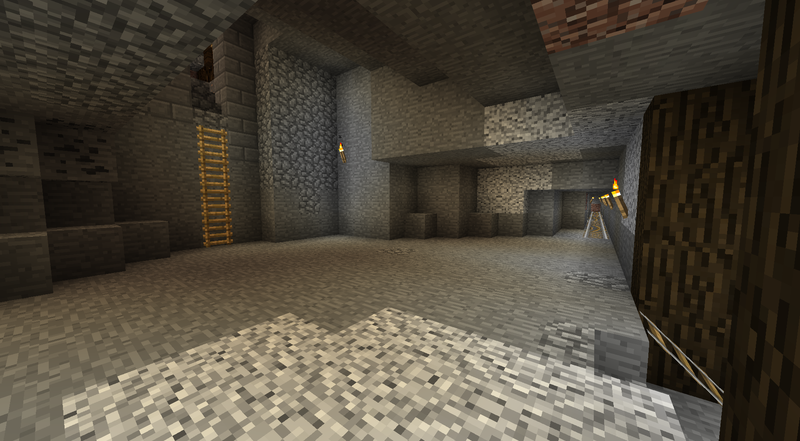 So far we have redstone and lapis, I could mine a bit of obsidian. And diamond does not seem unlikely this low. 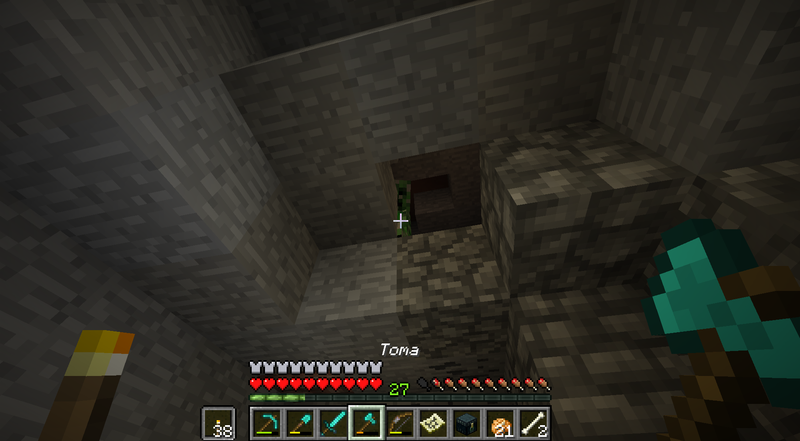 I am at height 21 while looking down a large cave with two creepers. Also, the cave network is still extensive! 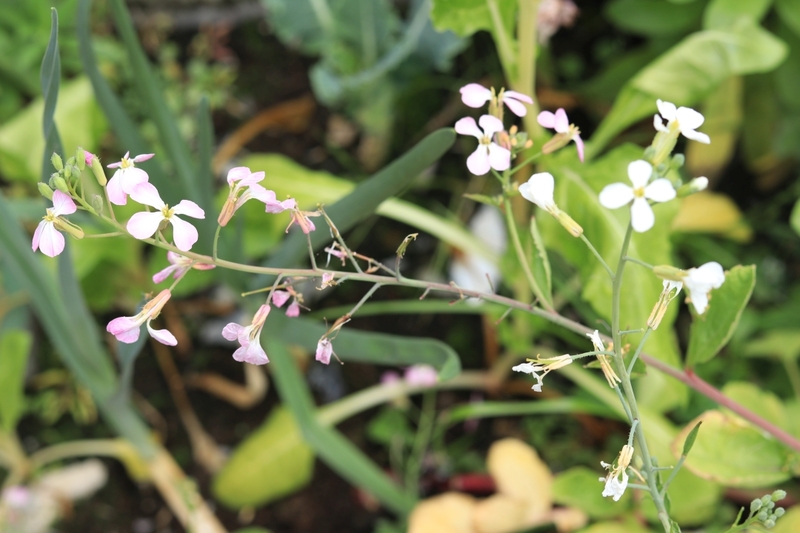 However, it is time to give my body a break, drink water, eat a little bit of bread with mangold leaves and enjoy the plants flowering on the terrace. It is sunny and warm outside, sounds come from kids playing at the nearby school and construction work on new houses in the town where I live. The church bells plays a melody as it is one o'clock in the afternoon. Another great habit for long caving sessions I remember is bringing a bucket of water to deal with large lava pools, turning them into obsidian. Following this ancient advice, I smelt three ingots and craft one during the next inventory organization break. 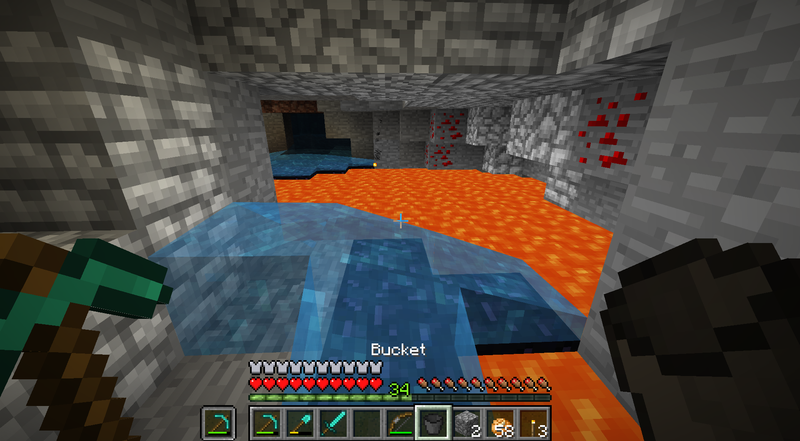 The bucket is immediately useful, allowing me to safely cross lava and mine resources around it. 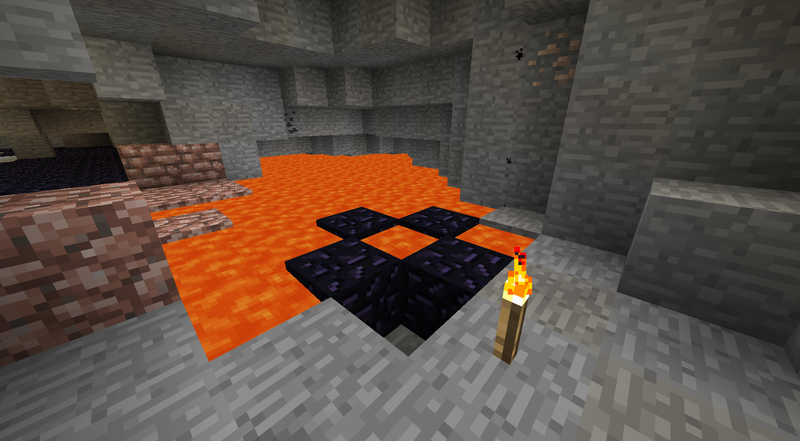 Still, I am not completely accustomed to making breaks for typing while caving, and this shows itself when I flounder and place the water in the middle of lava, thus losing my water source. Keeping things safe, I go back for another water source and a zombie hug. 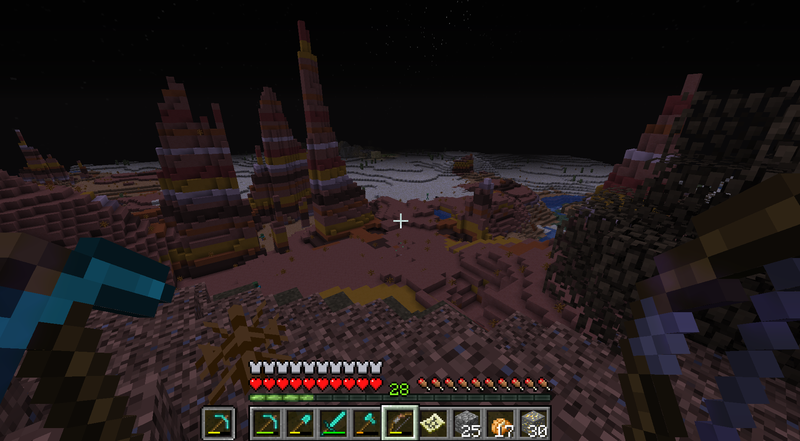 To not get lost I mark the direction of the diamonds with double torches. Now with diamonds rising from 10 to 29 and two primary goals reached (35 levels and pickaxes repaired) I ponder heading back while mining obsidian. 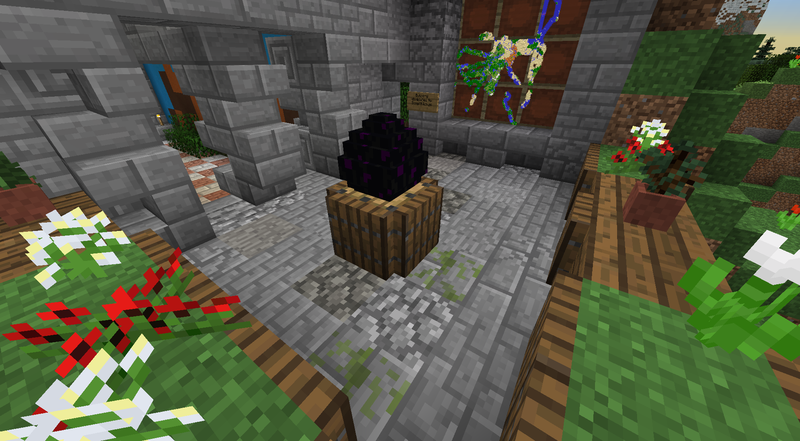 Out of curiosity I count the number of strikes on obsidian blocks before they break; twelve. Being out of torches simplifies the decision making. As I ascend to Y-coordinate 61 my eyes accustom themselves to the dark and I can mine more iron and gold. 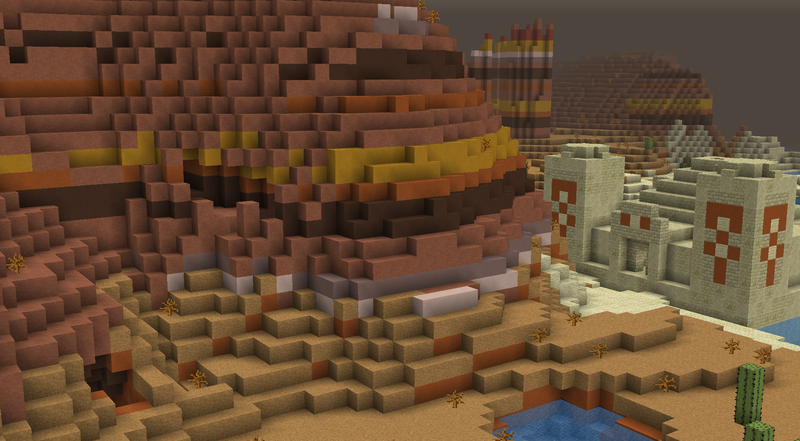 The mesa biome sure is abundant with the latter! Even as I pillar through the rock skywards, I mine into gold veins. 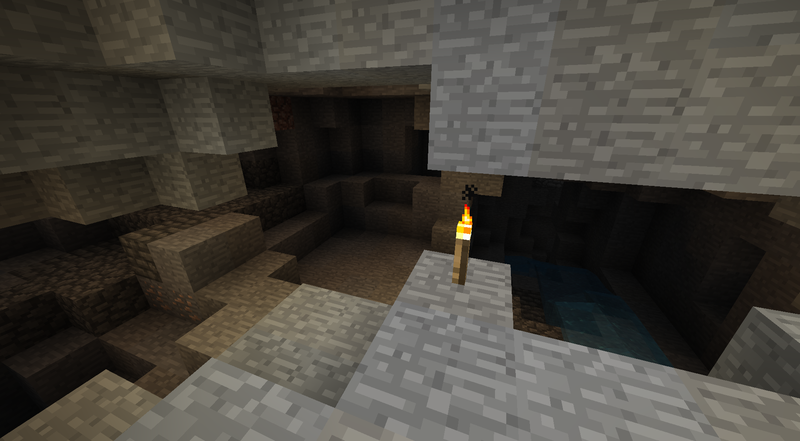 Without torches, I make sure to leave a gap on my side to step into. Should gravel or sand slide down I can escape death by suffocation! At height 80, I reach terracotta, and at 93 I am out in the daylight, right where I admired the valley the first time I came to cave in the mesa! To fully utilize the inventory space and excursion, I stay to mine three stacks of natural terracotta, two stacks of brown and one of each in yellow, orange, white, light grey and red. For the red I take care not to damage the natural environment, skirting the edge of the hill for blocks. I think these will come in handy in a future project, still only drafted in my notebook. I prepare my inventory for the End. I make sure I have glass bottles to collect dragon's breath, blocks to pillar up with. I leave 'Silk Spoon', 'Toma', the shovel and axe behind, they need repair and I won't use them in the End. I also only need one pick axe. I bring 'Pick of the Shear' and leave 'Crescent Full Moon' behind, since I need silk touch for picking up the ender chest. To commemorate this occasion I do my best to craft a banner resembling a large tree. I place it on the reception building and set out towards the End. I already activated an End portal a long time ago. 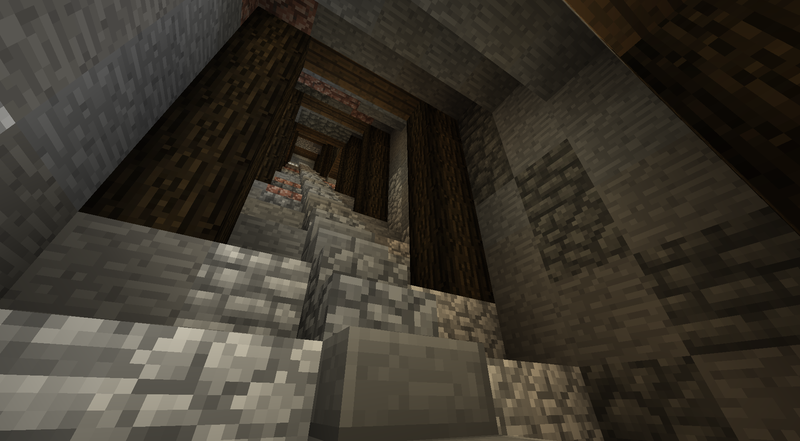 The entrance to that stronghoold is a few thousand blocks away to the east, at [2044,-60]. It is not long before I am there. 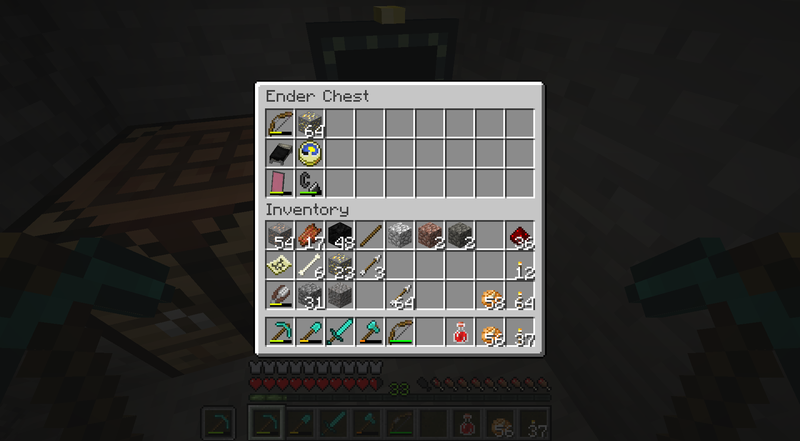 Walking down the stairs I come upon a bed and an ender chest I once left here. 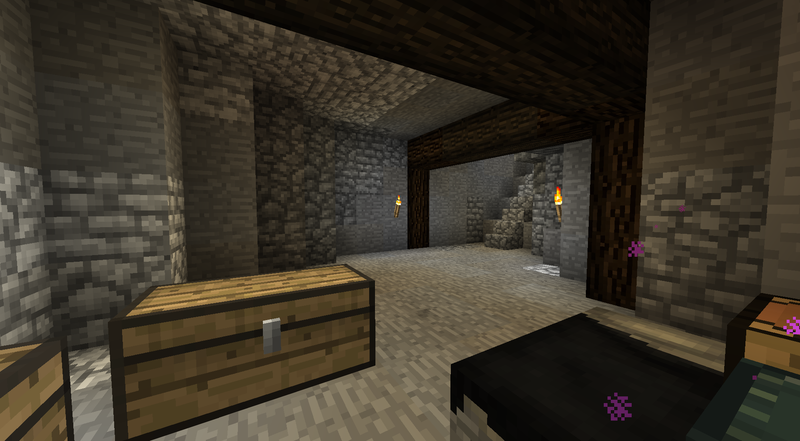 After plopping down the beds and one ender chest, I wait until night to set my spawn by sleeping in the bed. But I actually don't need to. I make a backup of the world save. I don't want the world download to be without the gear used and built with all these months. Secure in that, I feel like challenging myself and take on the dragon and the End at hard difficulty. One and a half stack each of potatoes and arrows. Two bows, one with infinity and one without. A sword to sing songs about, no offence. No potions. 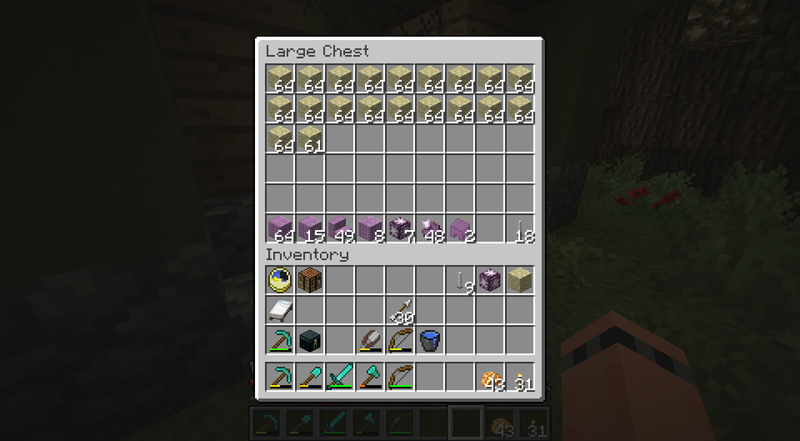 Four stacks of smooth stone bricks for pillaring, and double that in the ender chest I carry with me. 41 glass bottles. The best diamond armor I could craft, still without Feather Falling VI. A crafting bench and a stack of torches. One pumpkin and a bucket of water. Will I make it? One of the first things I notice after taking out two of the lights on the obsidian pillars is a mistake I made: I counted on the bottles with dragon's breath behaving like potions, not stacking. I could have brought so many more had I known! This is how to learn the hard way, and I won't back down now. Besides, recall there being a way to summon the dragon again. Should the craving for fireworks grow too strong, I am sure there will be solutions. For now, I am content with filling the bottles I have. 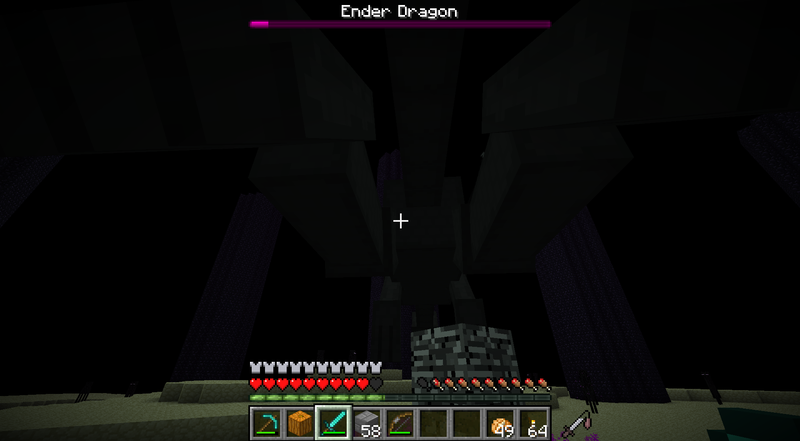 All goes well, I extinguish all towers, but an enderman distracts me and I get tossed up by the dragon twice as high as the pillars. There is no saving me from the fall damage. I reload the copy I made of the world. Time for a second go. Perhaps wearing the pumpkin could help? Things turn out worse. While my play is calmer, I get thrown off the island before even taking out the towers. The third time is the best so far. While I think I had one tower left to take out, I get the dragon down to half health. 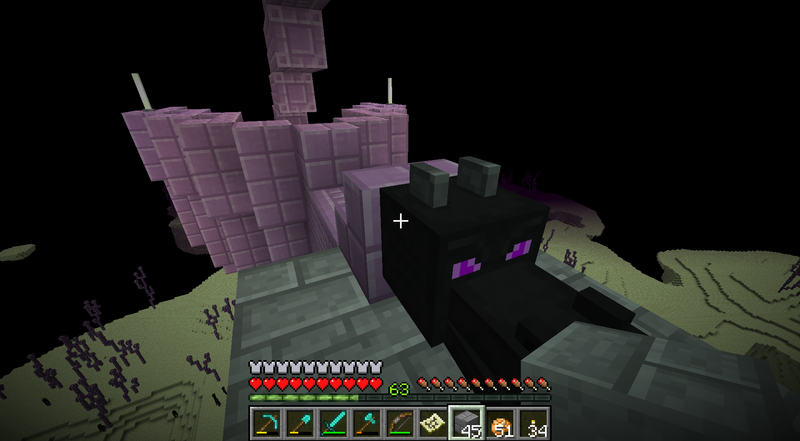 Then an angry enderman beats me up..
Fourth attempt is fine, until I became obnoxious. I stay too long trying to pillar a tower I already took out. The dragon's breath kills me this time. Finally, on the fifth try, I seem to have learnt all the lessons I needed. I calmly get the towers. I avoid staring at more than one enderman. The one aggraveted I really pay attention to, deeming it more dangerous than the dragon I don't let it get close. 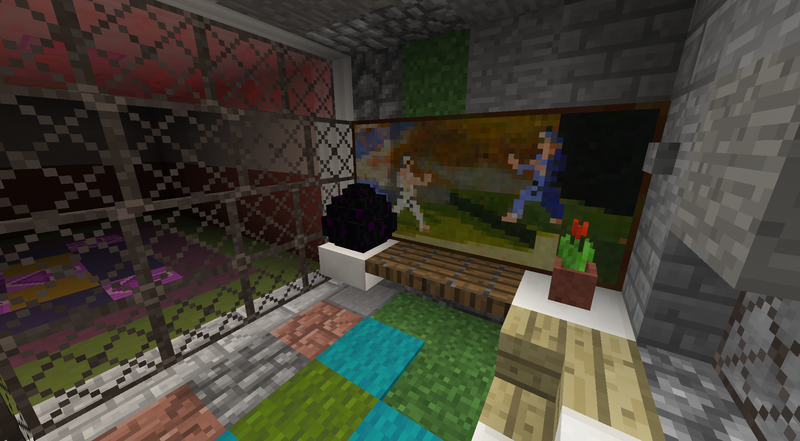 I also use some of the ender pearls dropped from by endermen killed by the dragon to speedily get around and approach from behind with 'No fence'. I relax and read one of the most profound computer game endings written, and head over to the library to bring you this post. That's it for now! I will read up on how to find the end cities so I can get an Elytra, and then the world download will be uploaded for you to enjoy tomorrow! Oh my goodness! Yeah. I've found my stronghold, but I don't dare to go in and attack the dragon without healing potions. 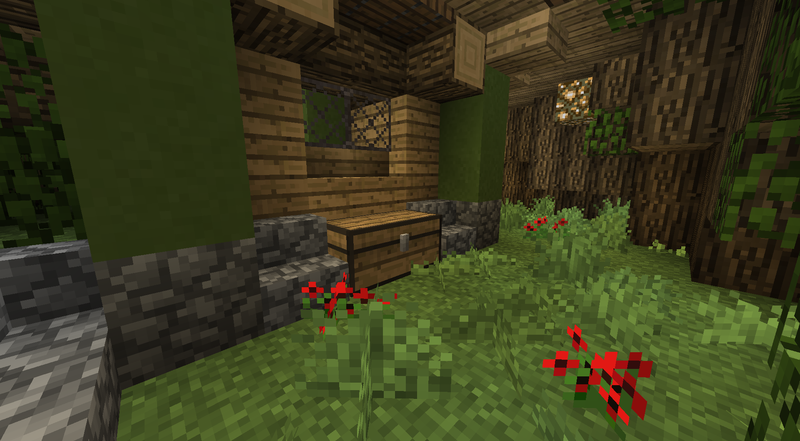 For some sad reason, I can't get melons to add to potions and I don't want to explore new areas for a jungle biome because of the upcoming update. Glad you got that dragon! 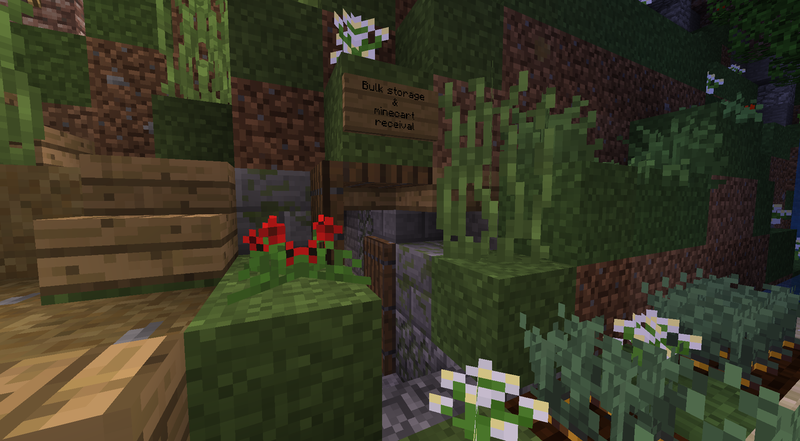 Are we going to see an End inspired build in Flower Valley? I can imagine Chorus fruit and purpur in a corner of the valley! I see what you did there, with the 3 skeletons and the dead end. With every post, you get better and better at this stuff. The quality of both the post and the content are superb! The viscosity of each paragraph keeps me wanting more and more out of your world! I appreciate the work and dedication you are putting into this, not so many people would stay committed to such a task. Well Played, keep doing what you're doing! Hm.. the chorus fruit might have another role to play. I need to relax from Flower Valley for a while now, the last month has been intense! I bring twelve stacks of smooth stone bricks to explore the End. There is the small portal which appeared after the dragon was defeated, which I manage to use by throwing an ender pearl into at the right angle. 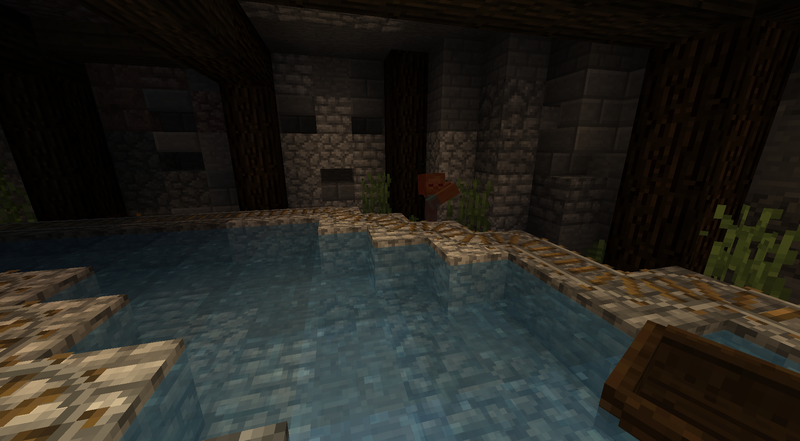 I am teleported around one thousand blocks away to the east. From there I scour the islands, bridging between them with single rows of blocks. I am about to give up when I find a tower. It gives me the end rods I sought to light up the obsidian music crystal, along with two skulker shells for a skulker box. I plan to make either an orange or green 'backpack' from them. But apart from the single tower, there are no more end city structures nearby. Continuing on, I explore using a 1:16 scale map I made. Reaching the edge of it, I return again past the same tower, and in the other direction, when I spot something weird in the sky. It is not a ship. It is half a ship! What is this, are we to be robbed of the Elytra in this way? 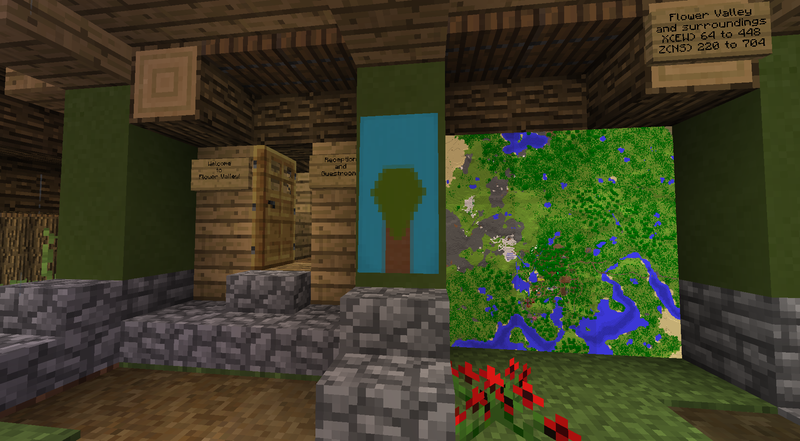 I pillar up, at least there is the dragon head! A skulker is making its funny 'blarablrabra' inside the ship and I peek inside, placing blocks above my head so I won't get levitated away. Persistence paid off at last! I can give you the satisfaction of the Elytra in the world download! I look at the map.. now I have to get back! No problem, I will glide, and then walking will also feel like flying! Getting back actually is a breeze, well, building a one thousand block long ledge to the main island took a while. 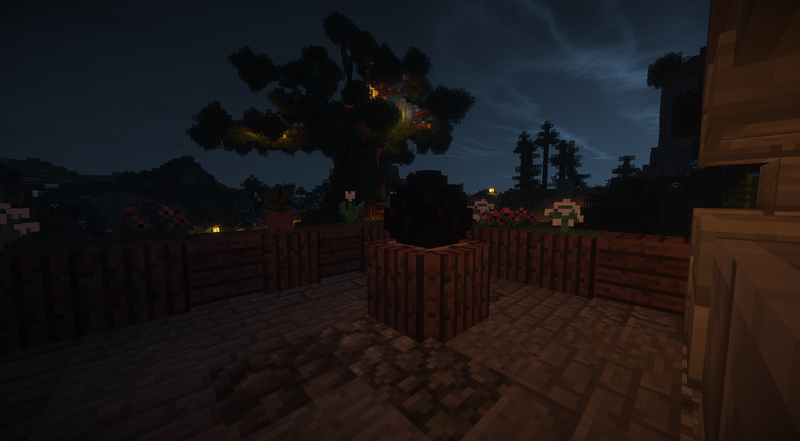 But apart from that, I just do my best not to get accidentally pushed off by the endermen spawning on the walkways. I keep the game above peaceful to not feel to lonely, I have the feeling the endermen are pretty amiable, telling me 'what's up' in the peculiar way of speaking. 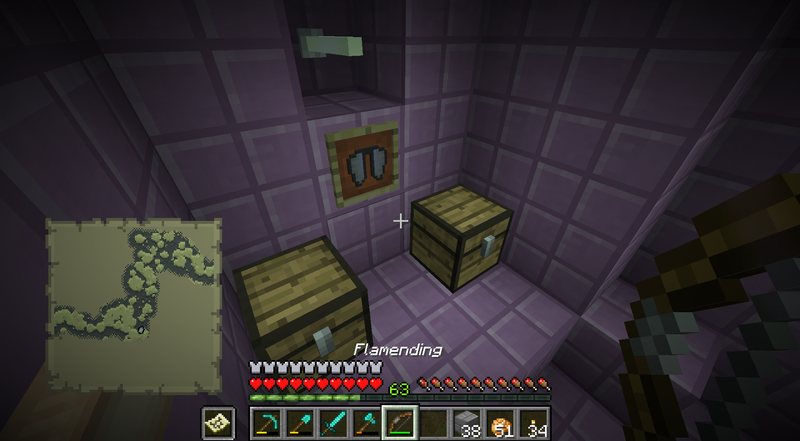 Well, I am just going back to Flower Valley to find some good spots to place all these curiosities I found here. 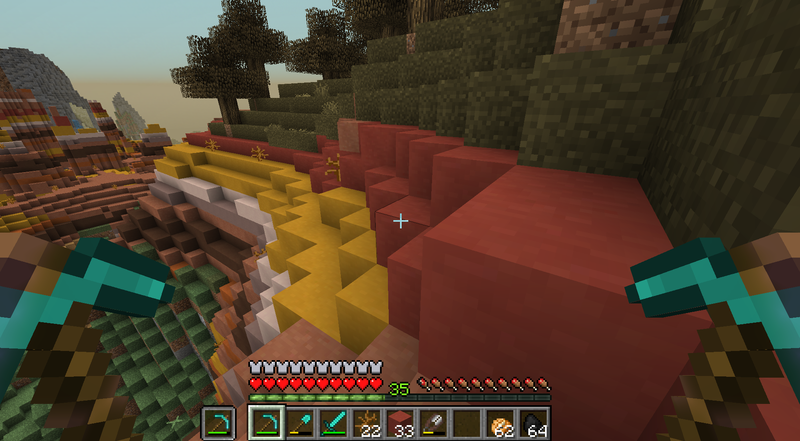 As you can see, while in the end, I gathered a bit of end stone too, counting 8 times 8 at least 18 times. When I figure out I don't want it there, I forget about its special properties, and try to pick it up. It disappears! Where did it go?? Will I have to battle the dragon all over again now? 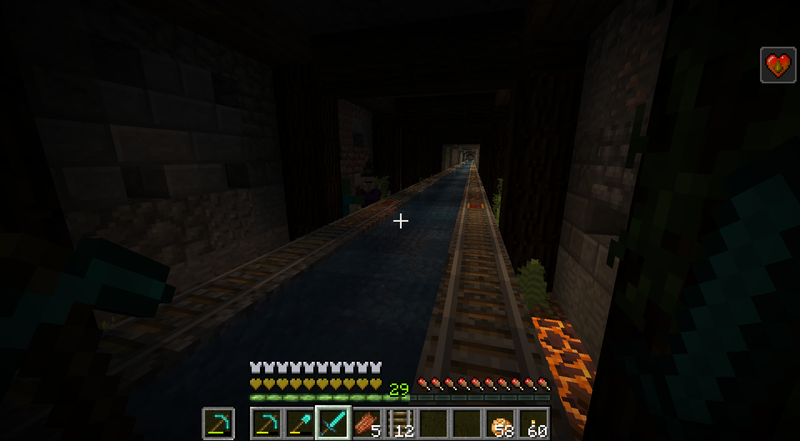 I hope it didn't teleport down the water channel leading to the arena, I would hate having to search down in the dark. I collect it with a piston this time, and head over to the balcony to make it the centerpiece there. 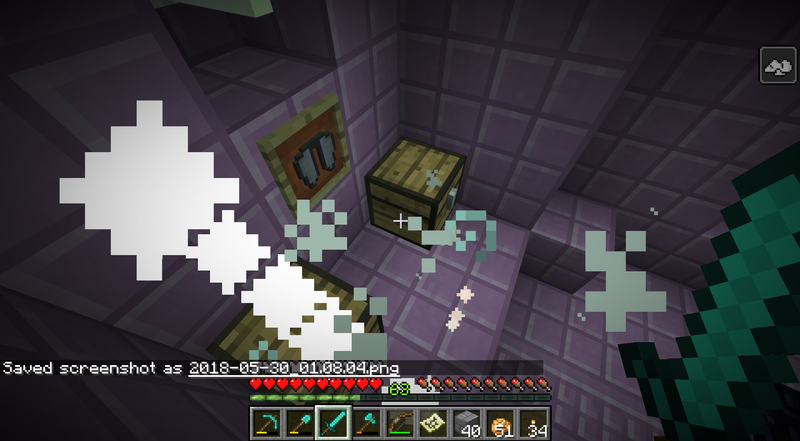 Finally, after taking a few spins around the Life Tree, accidentally wasting almost all gunpowder in making firework stars instead of rockets, the elytra gets Unbreaking III added and its own armor stand in the day & night hallway. And for your journal writer, it is time to take a looong break, chill under the cherry tree and dream about the life ahead of me. 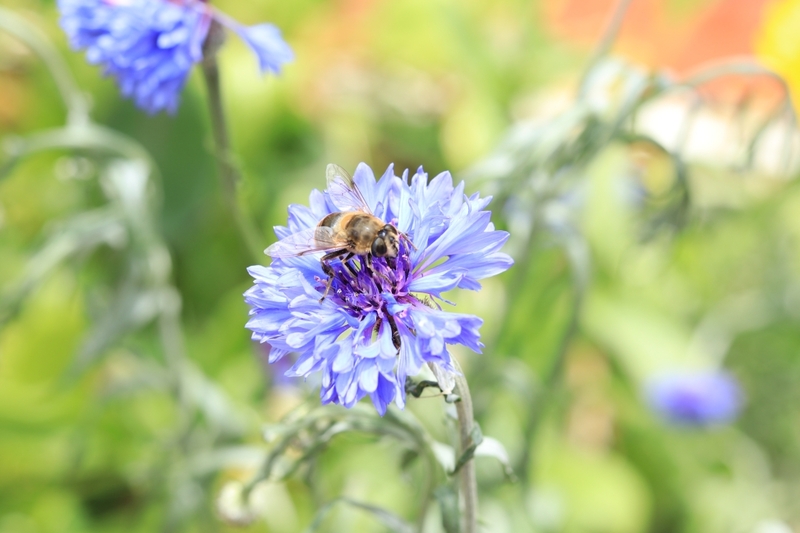 You can find more of me on my web page, art, blogs, music, poetry, a book with food recipes. A download of the creative world I made before Flower Valley is there too, along with solutions to its puzzles. Its forum thread is linked to in my signature. Avion. I like the thread. Been reading it from the start. You are a great story teller. I am digging the custom made trees and especially the tree of life. 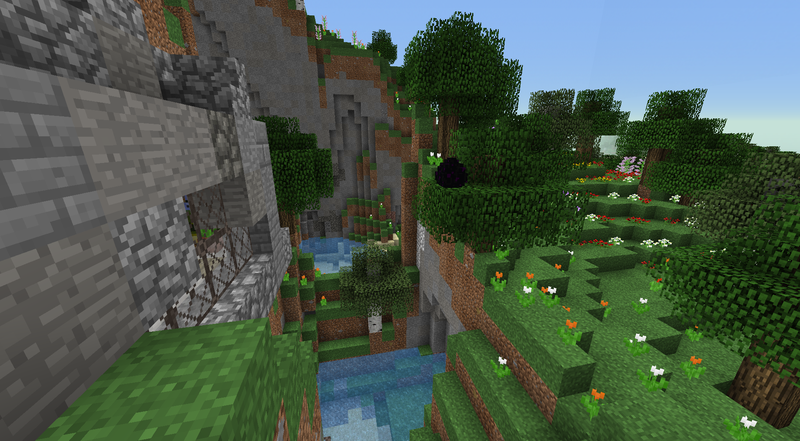 Minecraft trees are bad let me tell you. Custom made trees are where it is at. I am really surprised you did not do a few jungle trees together and do a tree house or a wooden hanging bridge between them. Thank you Xx_Weasle_xX, I enjoy and want to improve my writing. I thought about perhaps making the continuation of this world a story with actual characters developing along the builds. But I am not sure yet, it. I have to deal with real life things I have neglected, I want the writing and creation to be a joy and not an escape. 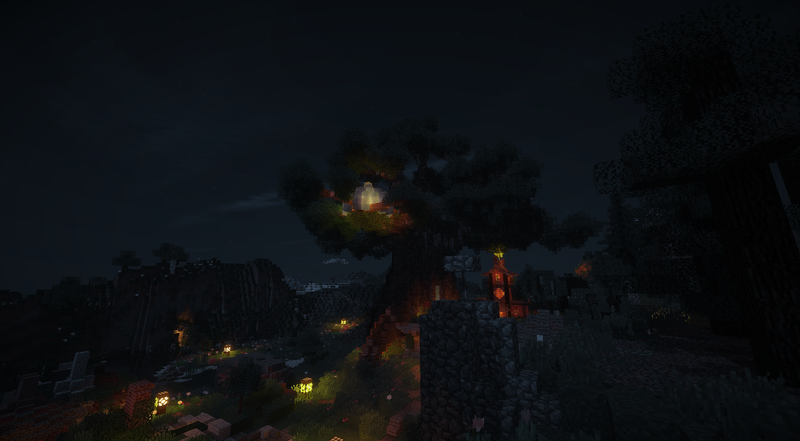 Minecraft trees are actually not too bad, and better than they used too. I was surprised the other day when I thought about it. Perhaps not the birches, they are all so small, but I like the pines/spruce trees, and large oaks. 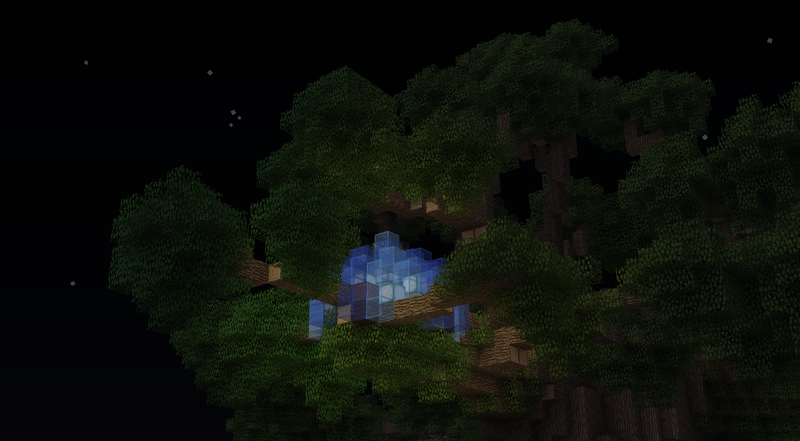 I had planned the Life Tree to be a tree house, but things don't always turn out as expected. Looks like the Tree of Life at Disney almost. Great job. So what is next for you? It would be a shame for your stories to stop. New world? A let's play?